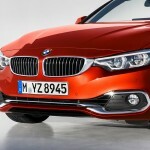 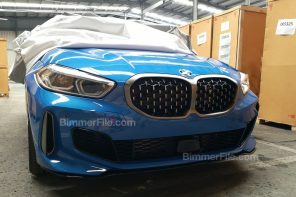 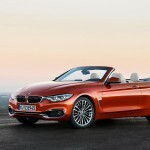 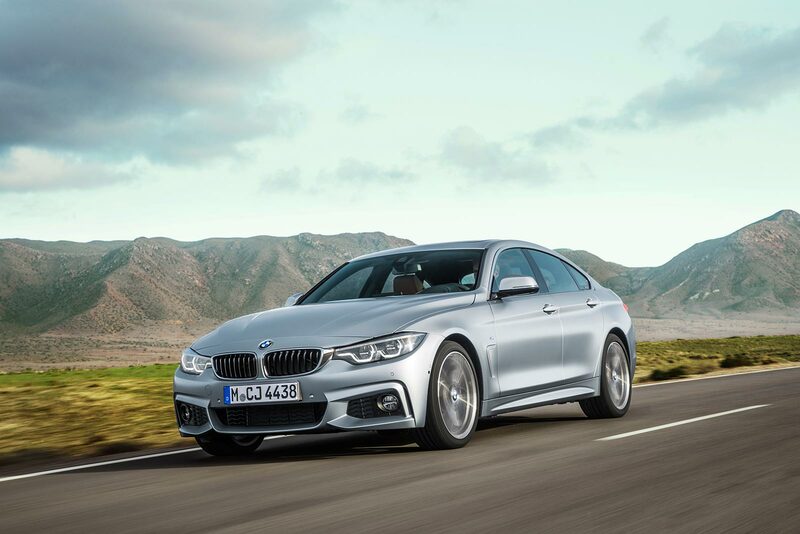 BNW has officially taken the wraps off of the 2017 BMW 4 Series facelift. 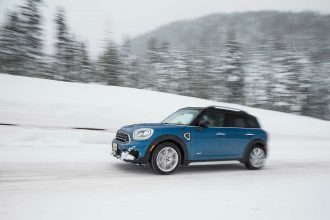 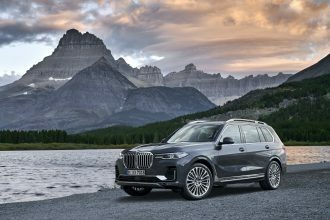 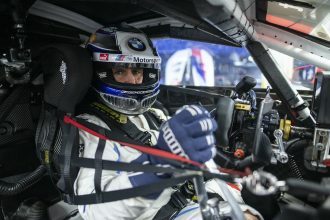 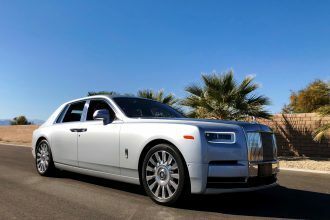 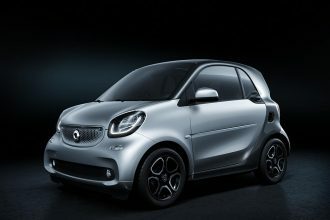 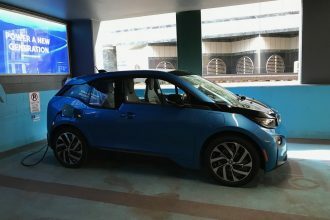 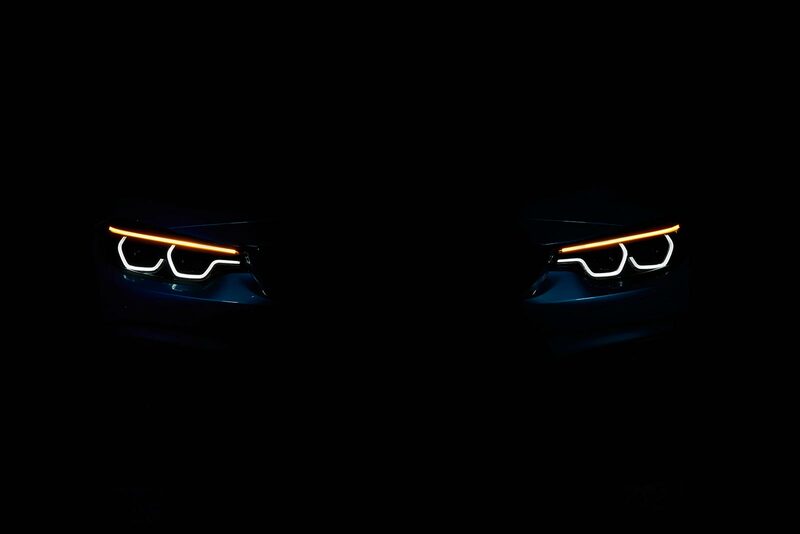 The big news here is are new LED lighting all around, revised suspension on the series models, upgraded interior trim and a brand new touch-screen navigation system. 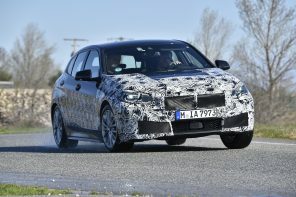 But there’s a ton more to digest with this LCI. So lets start with what we’re calling the executive summary that gets you the high-level info as fast as possible. 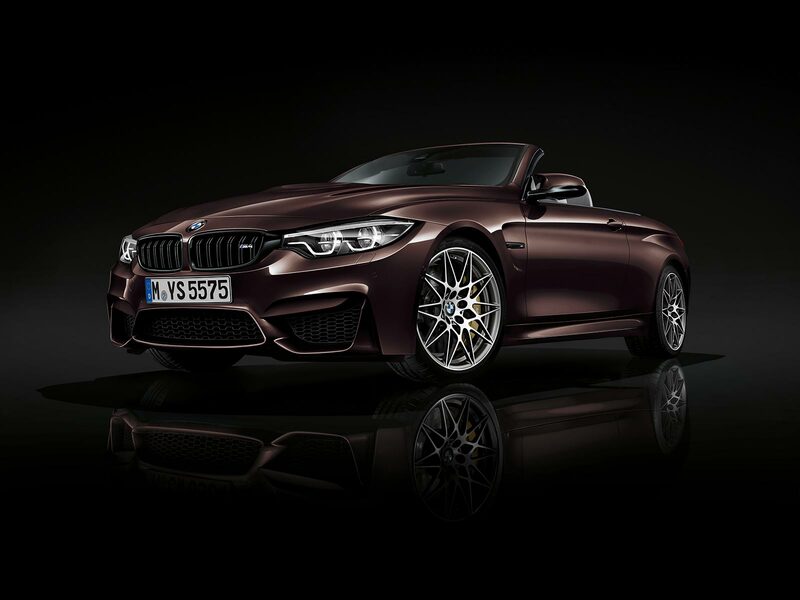 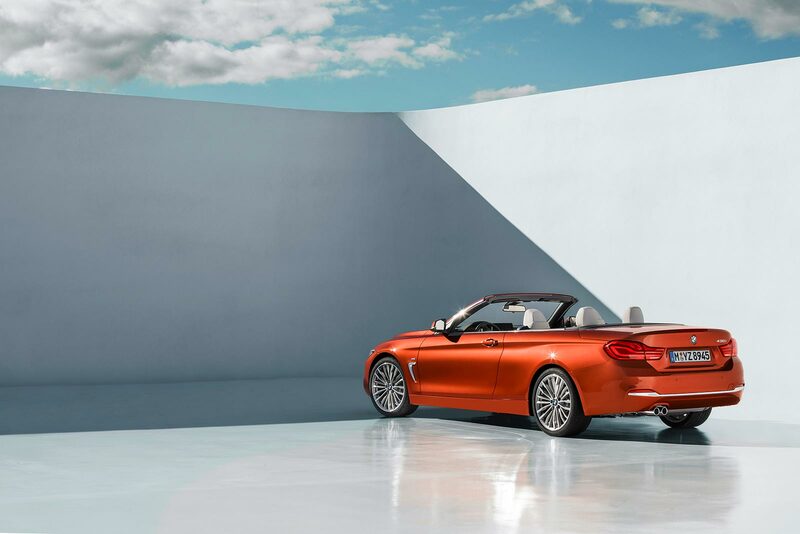 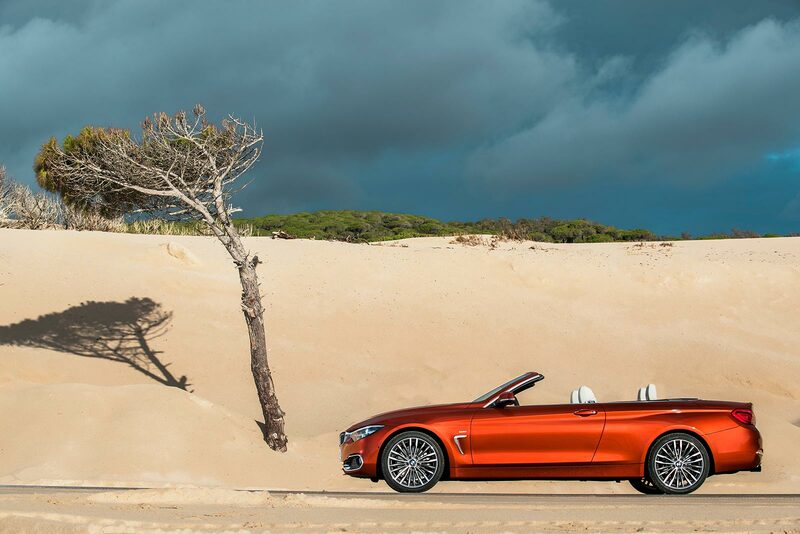 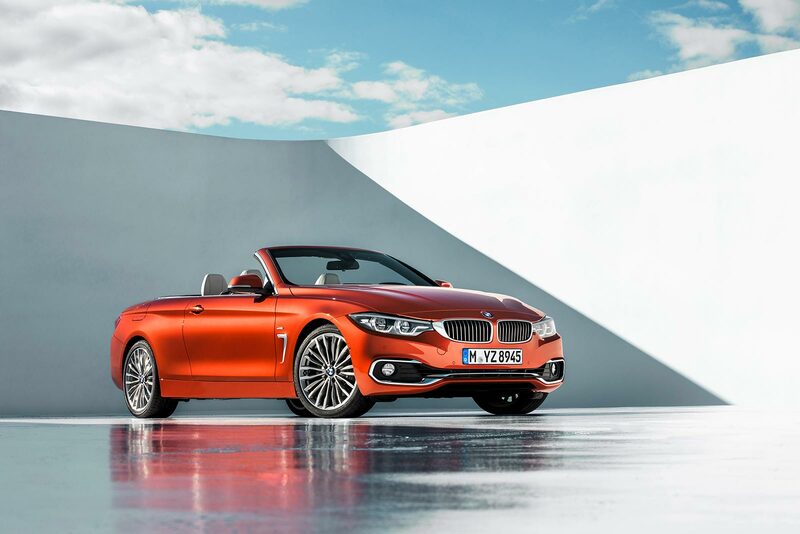 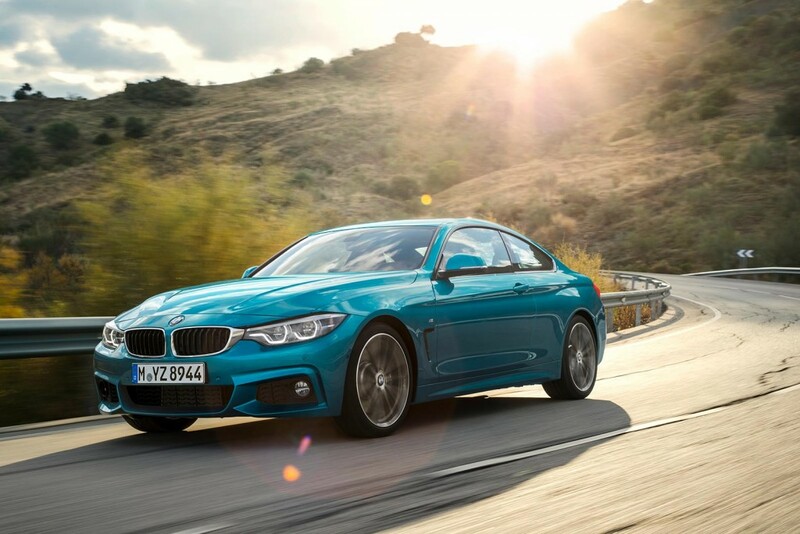 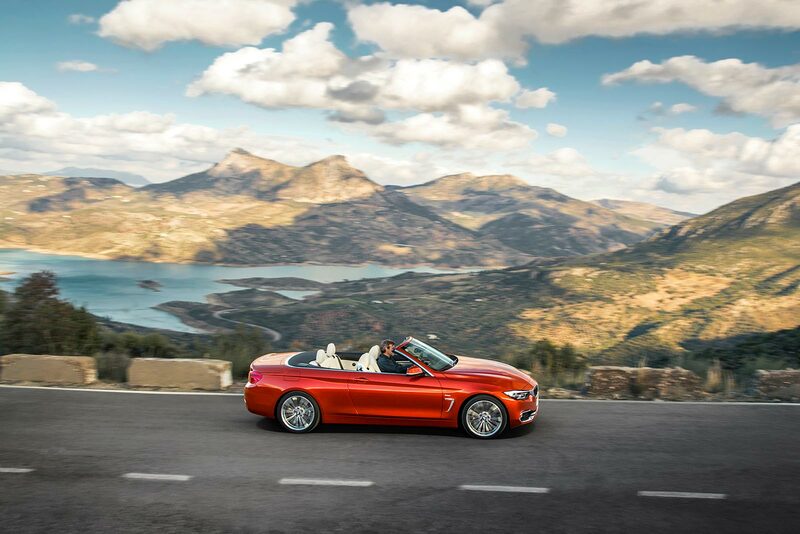 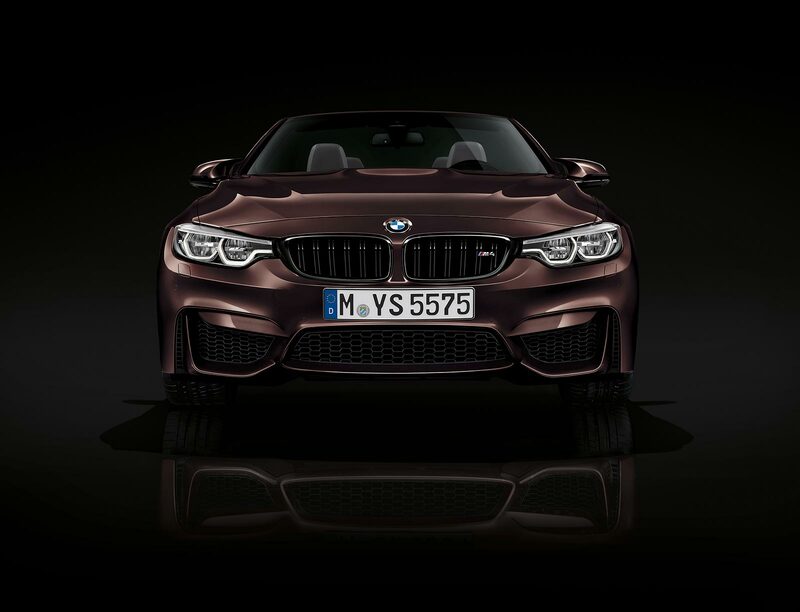 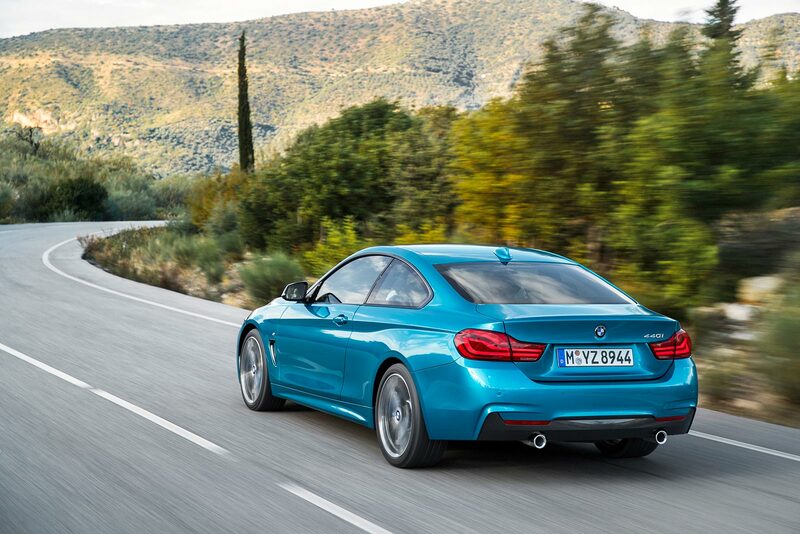 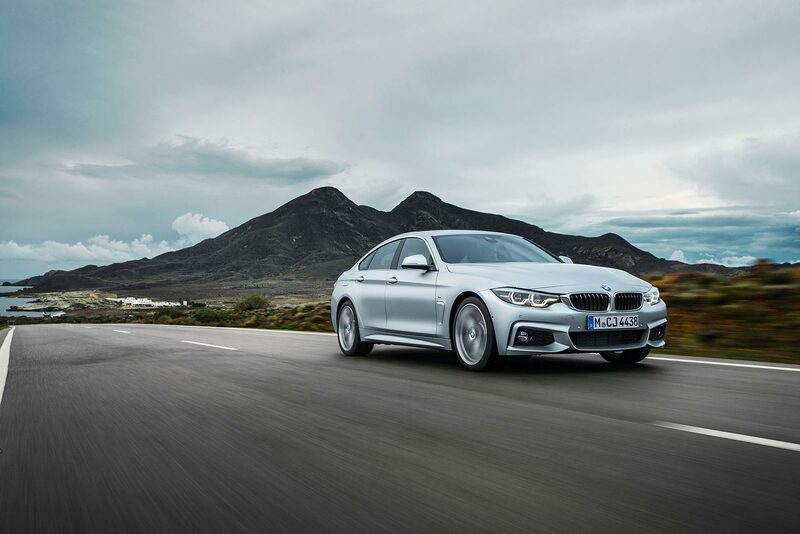 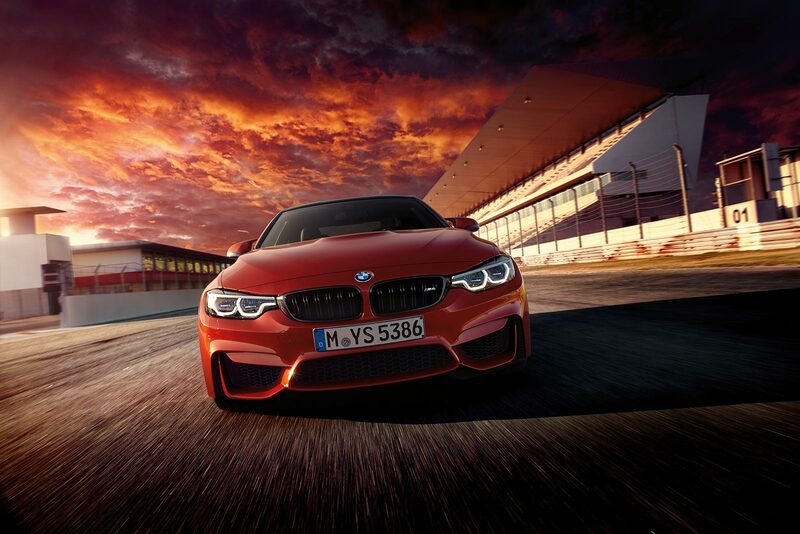 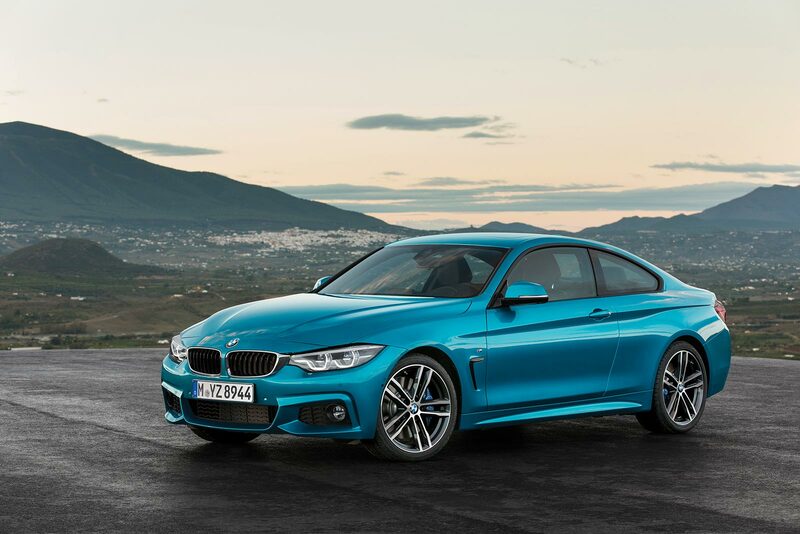 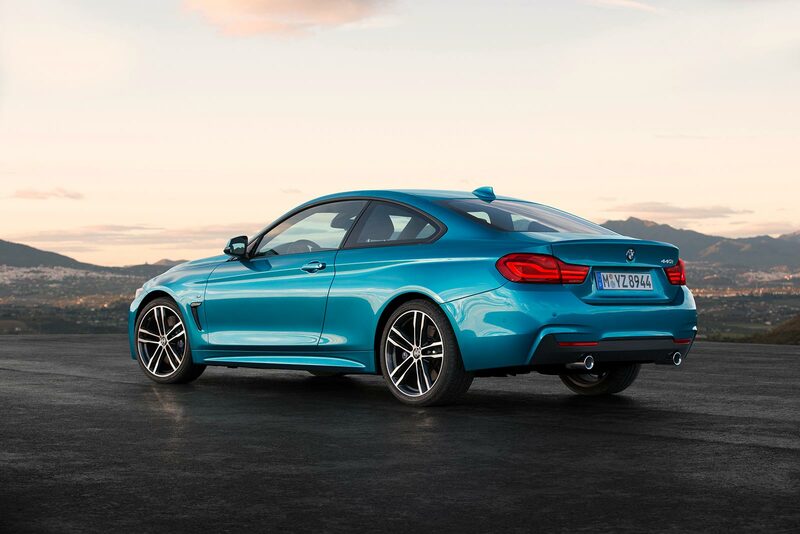 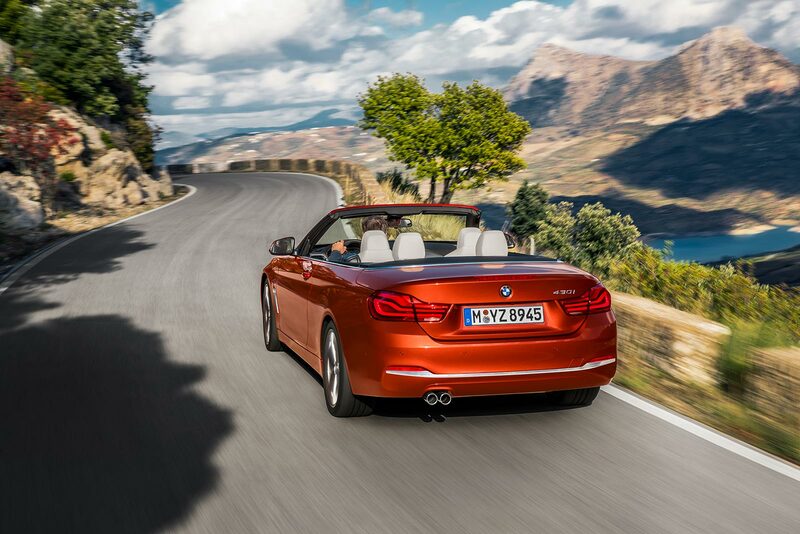 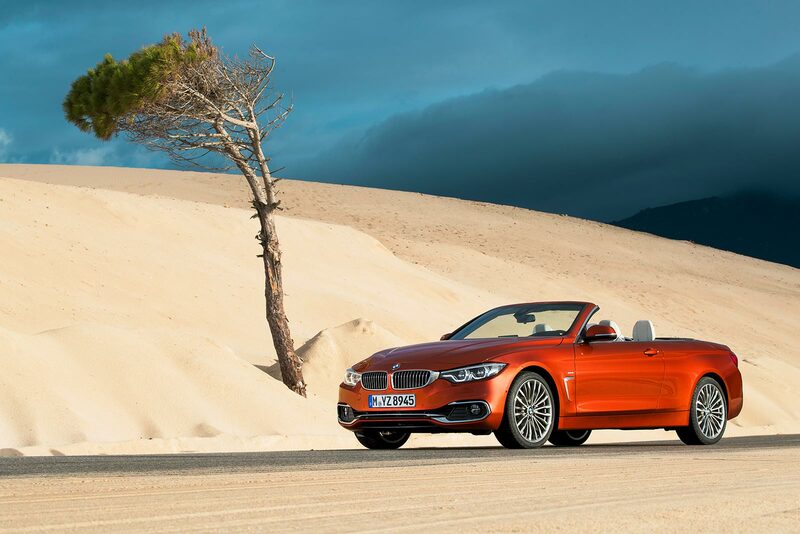 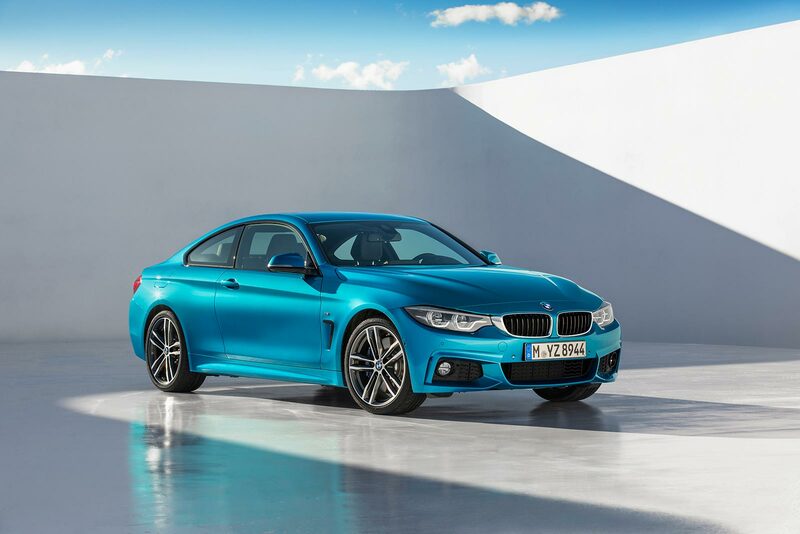 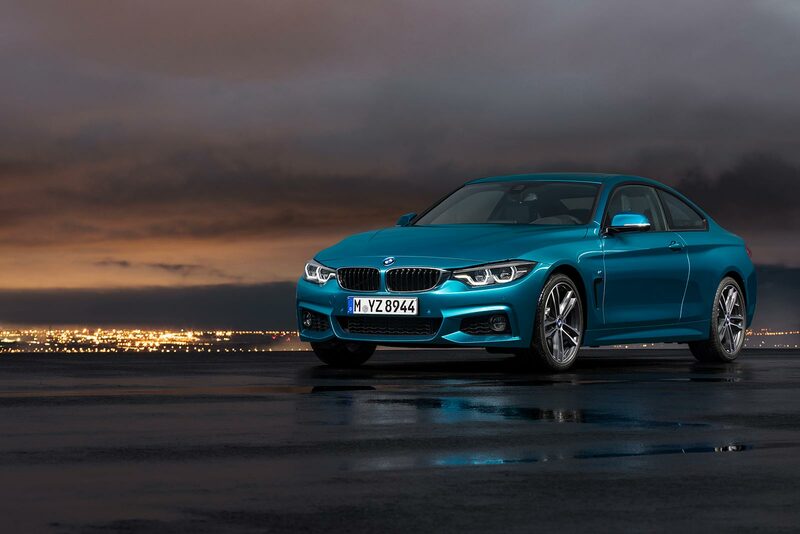 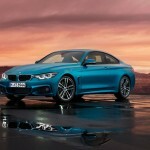 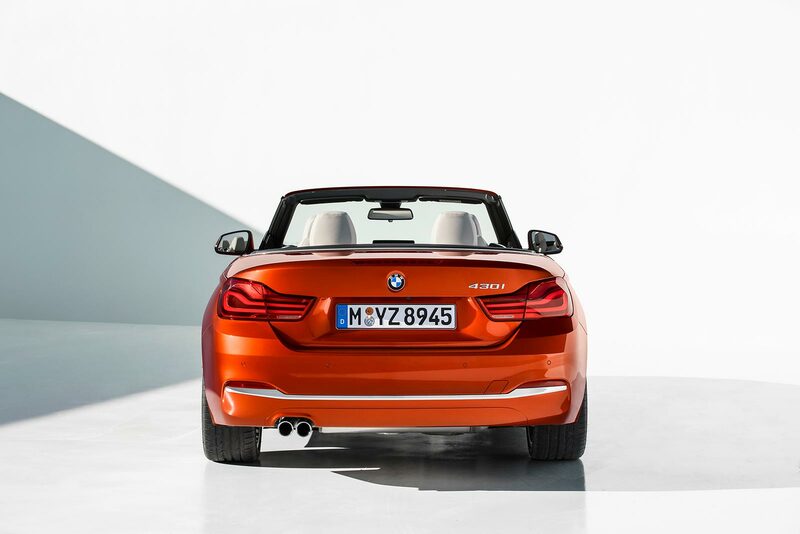 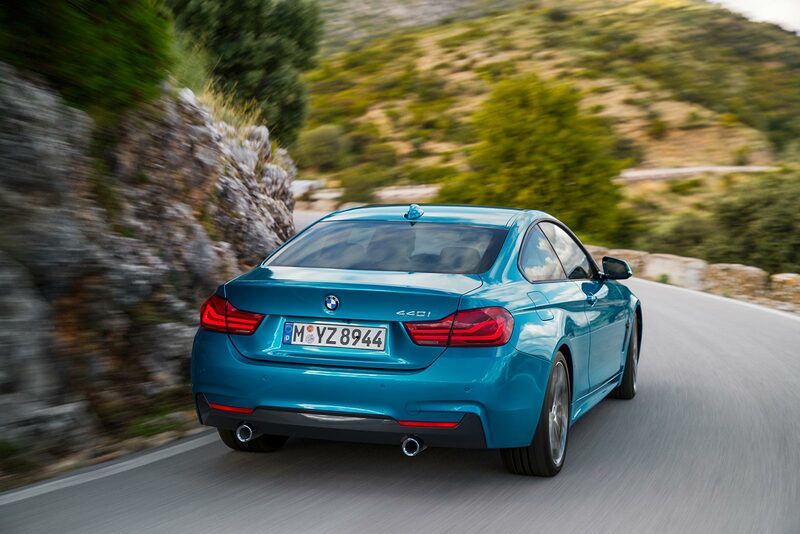 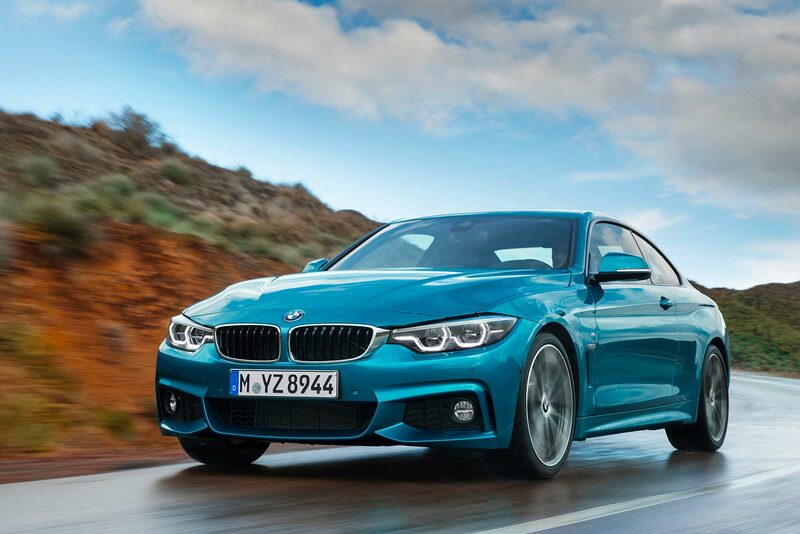 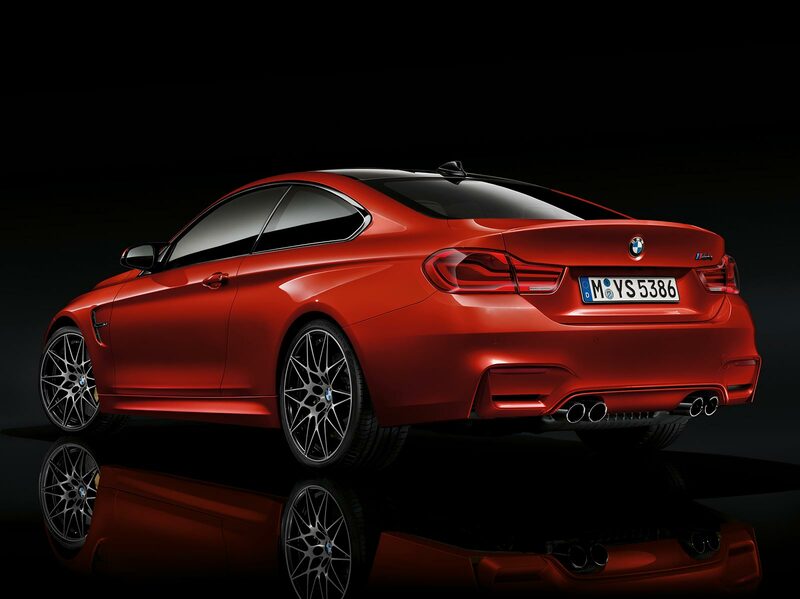 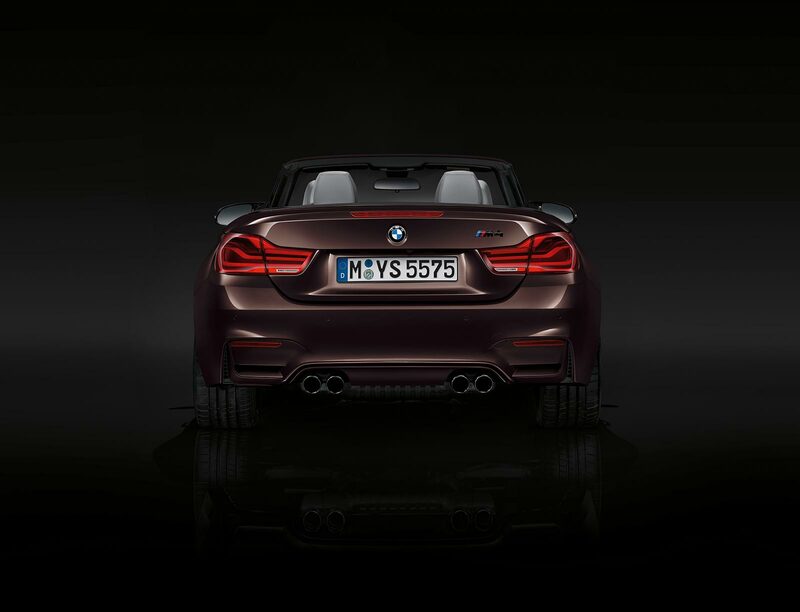 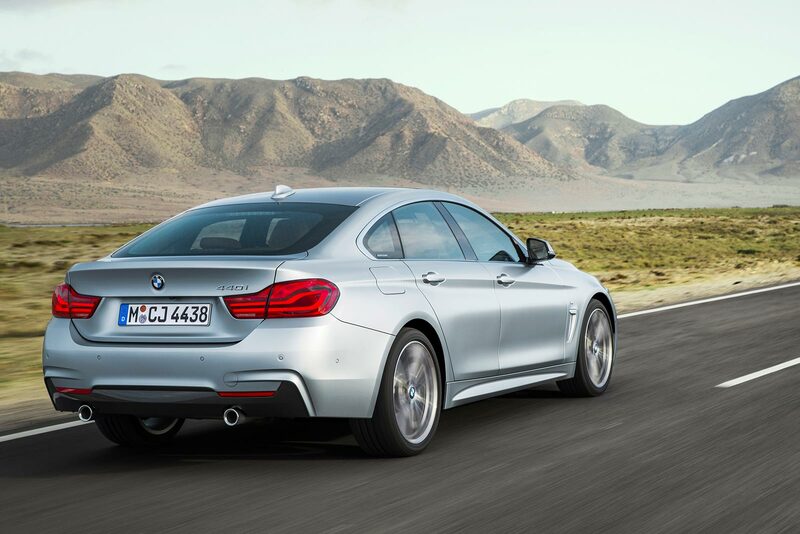 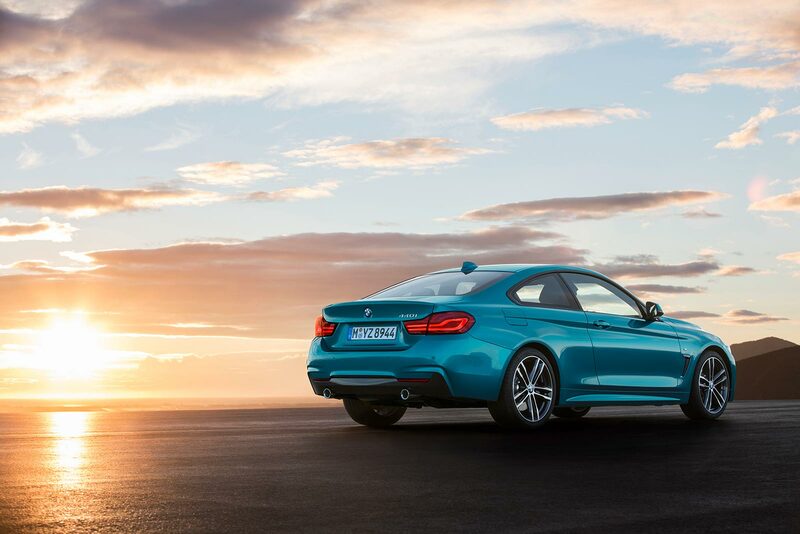 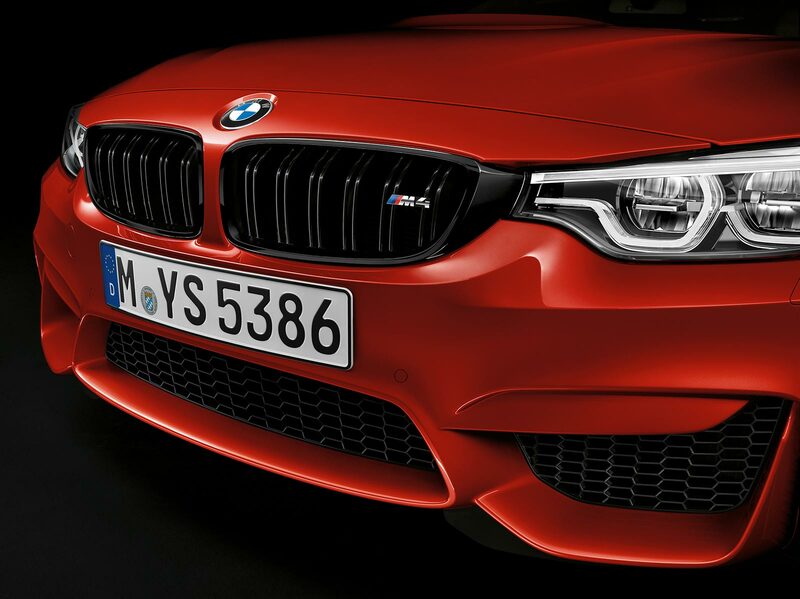 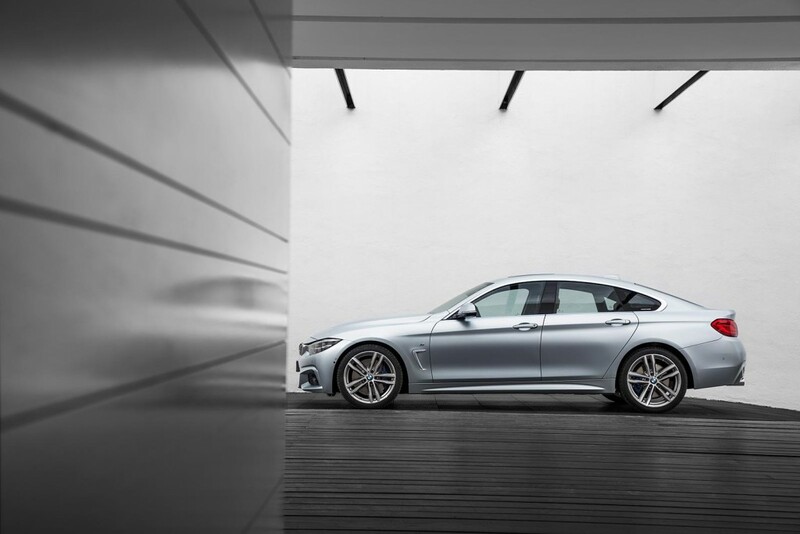 The new BMW 4 Series takes to the stage with even greater presence, perceived quality and dynamic flair. 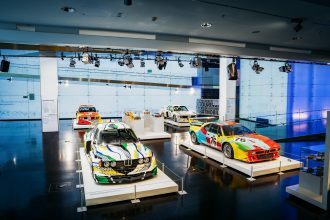 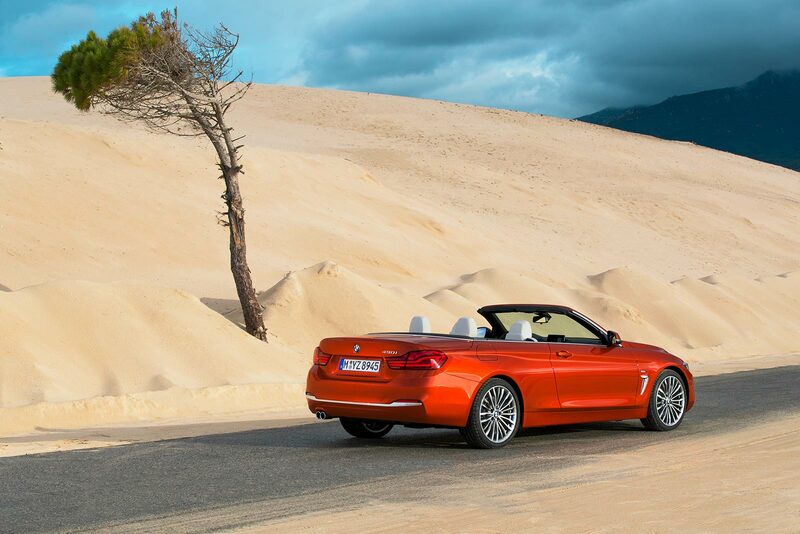 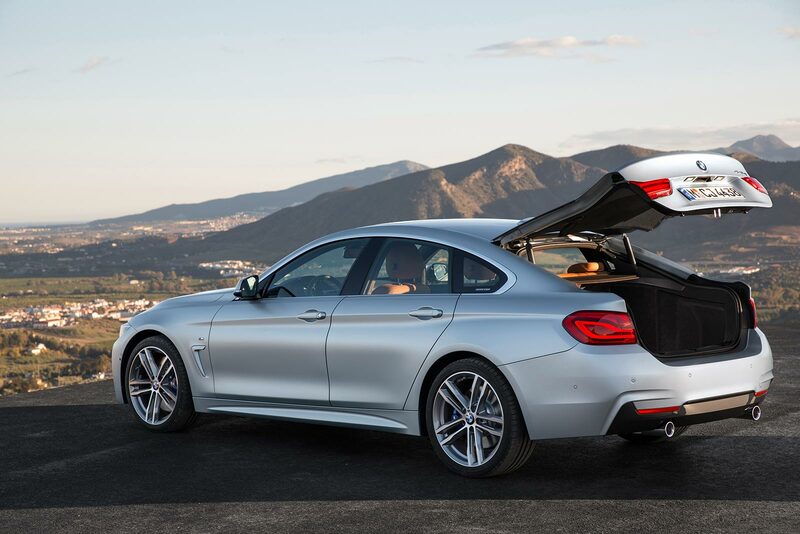 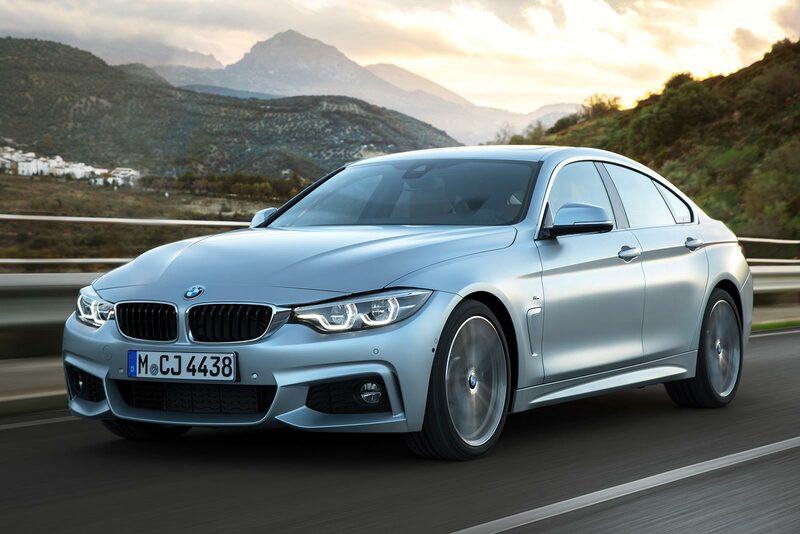 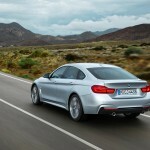 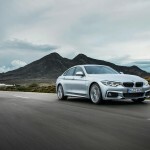 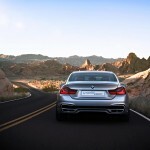 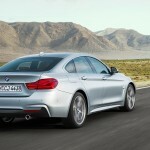 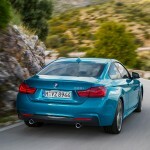 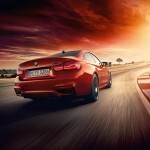 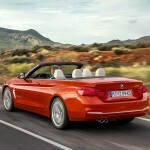 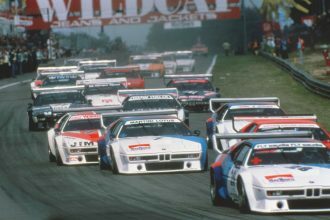 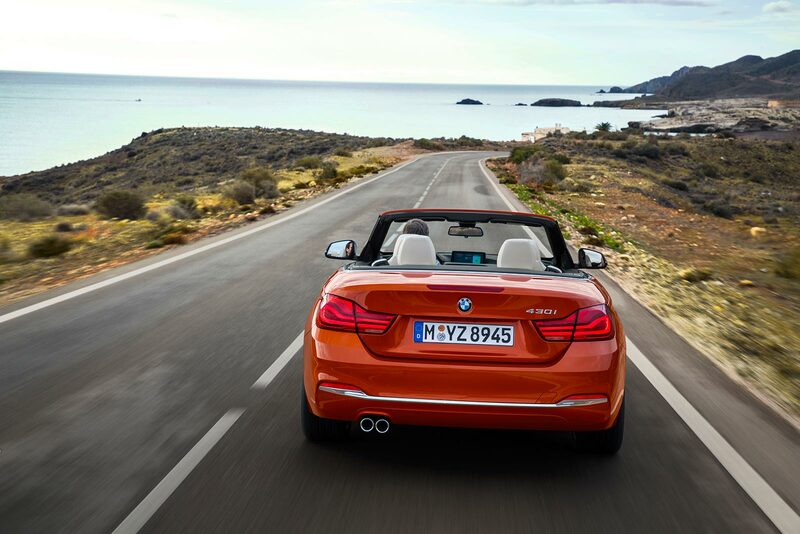 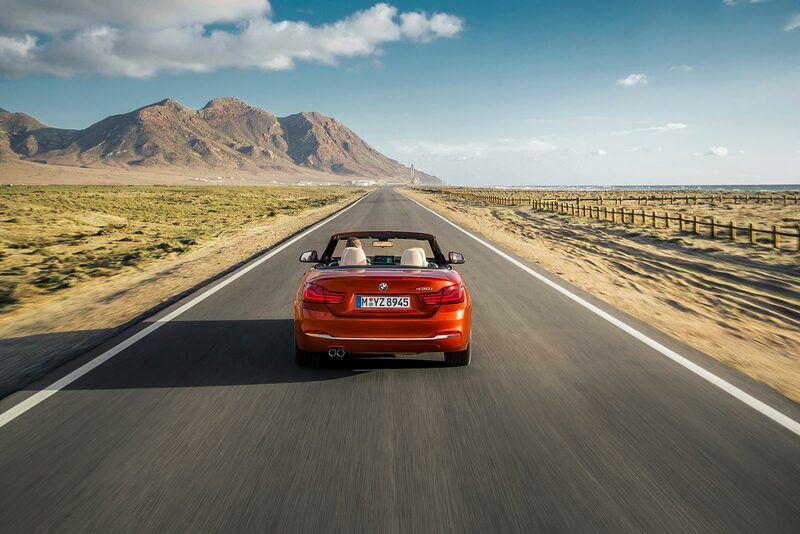 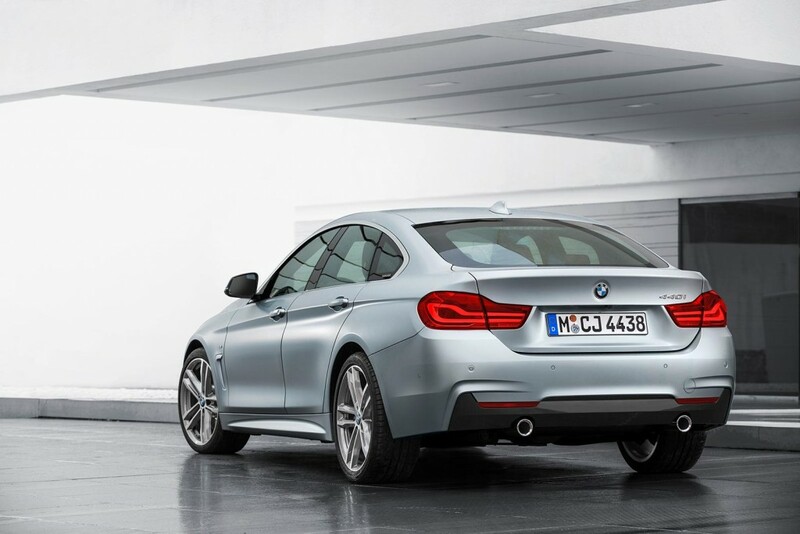 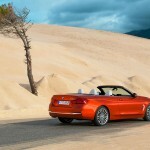 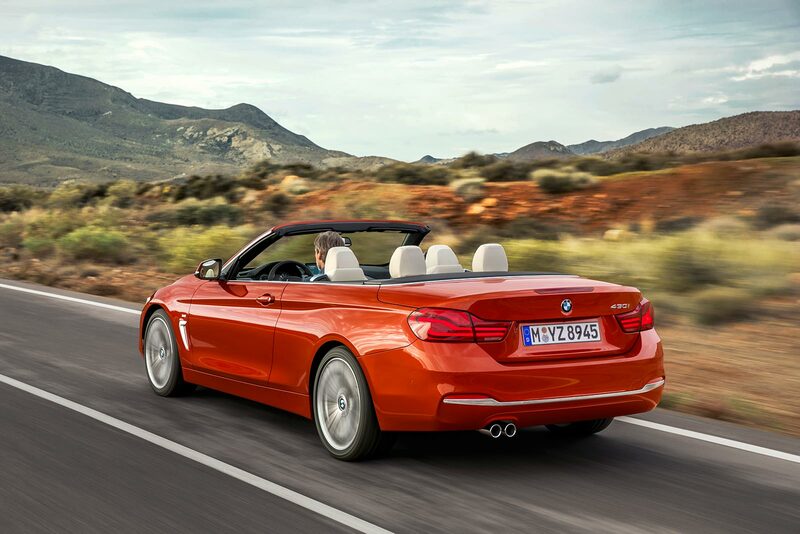 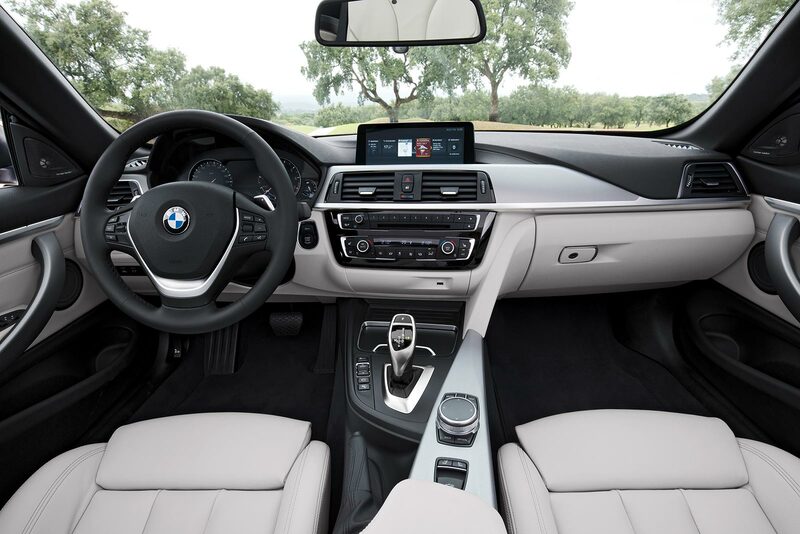 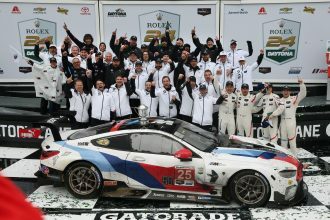 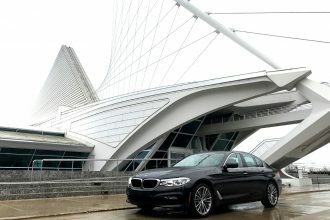 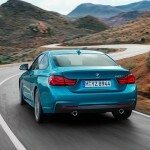 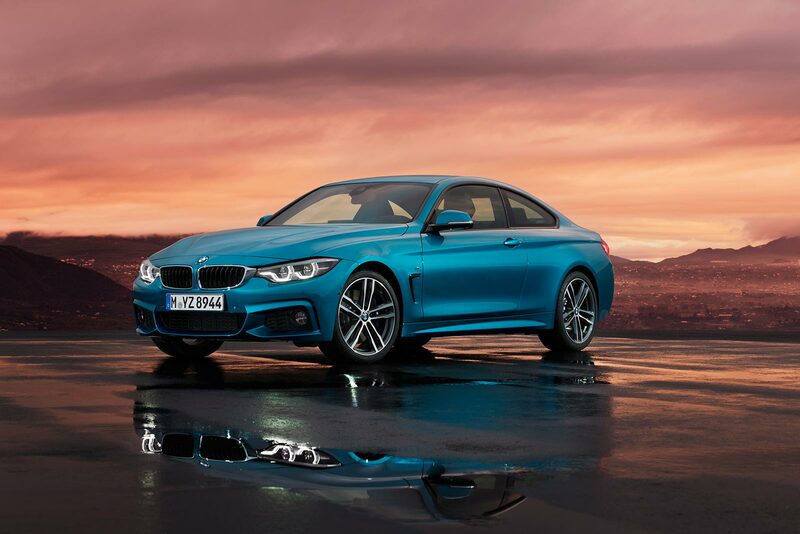 The introduction of the original BMW 4 Series in 2013 marked the dawn of a new era for the BMW brand. 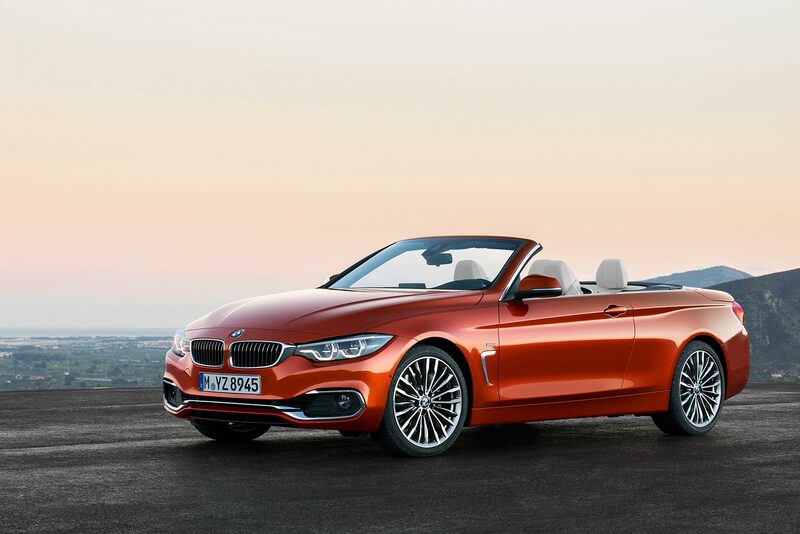 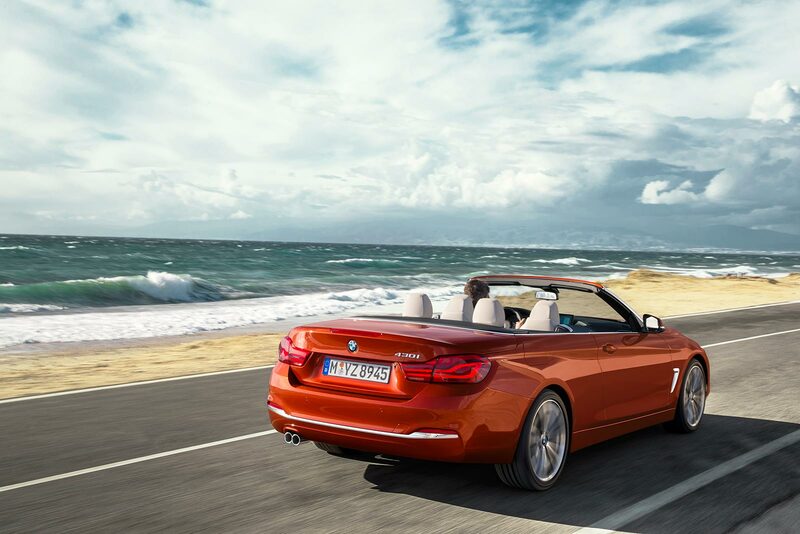 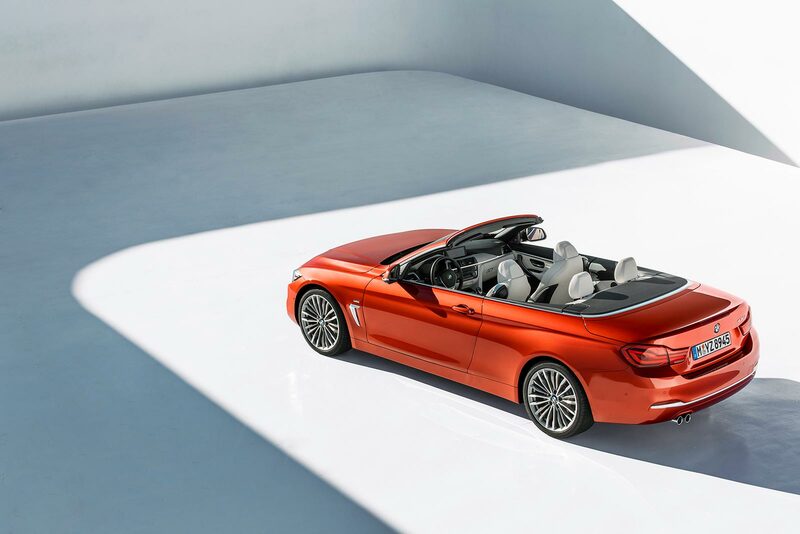 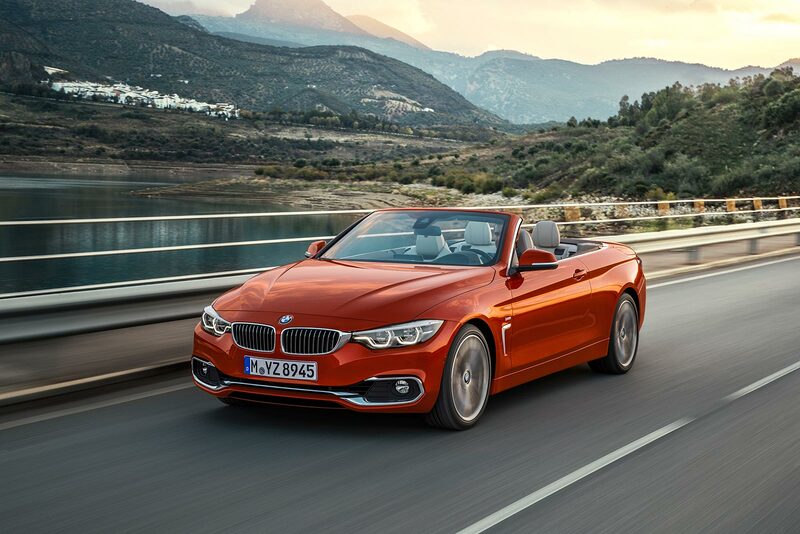 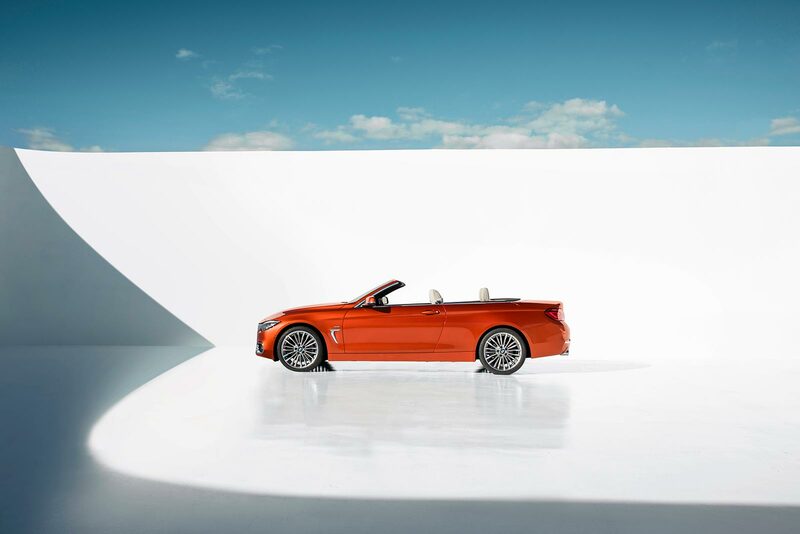 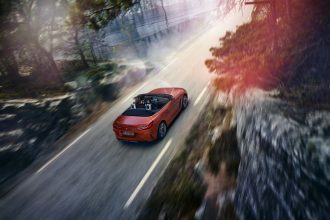 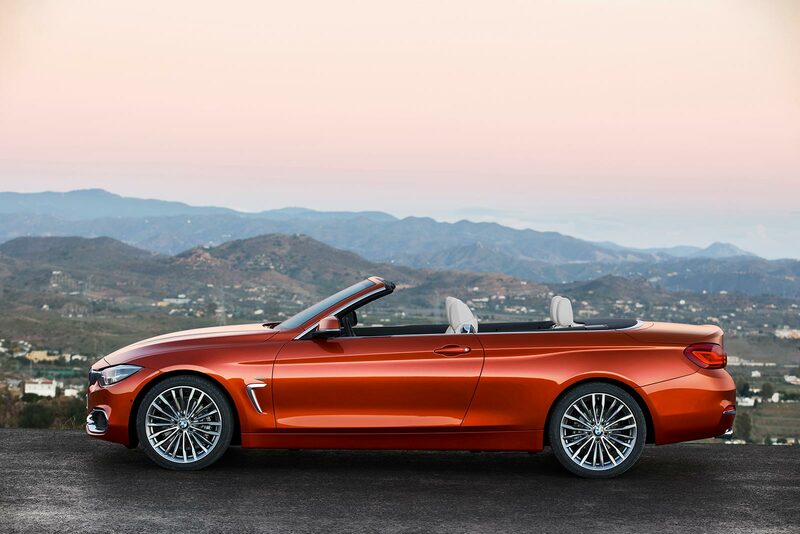 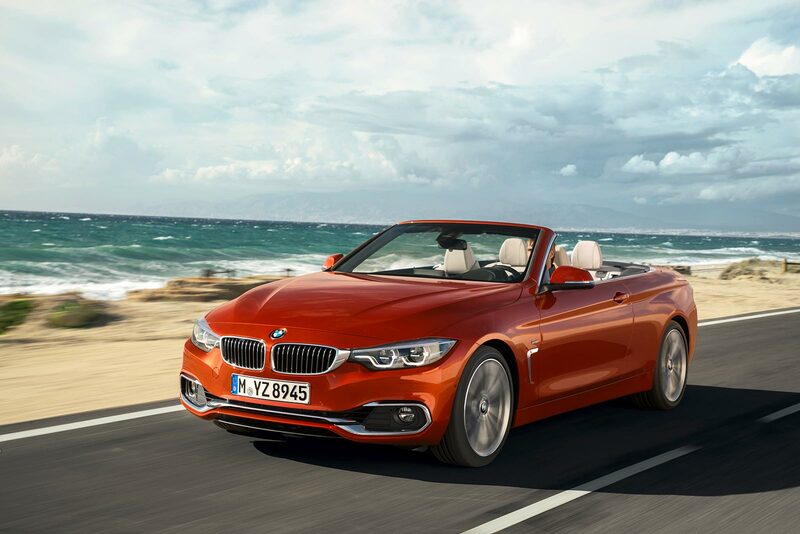 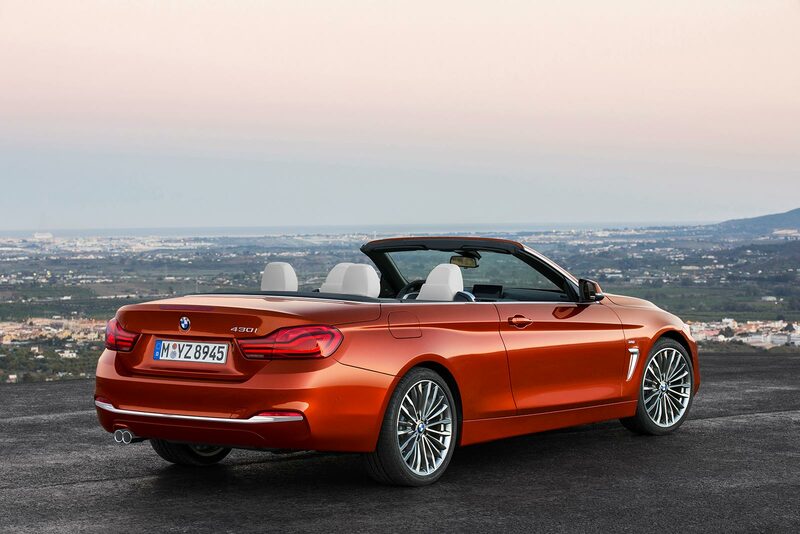 The BMW 4 Series Coupe, BMW 4 Series Convertible and BMW 4 Series Gran Coupe offer even greater sporting ability and exclusivity. 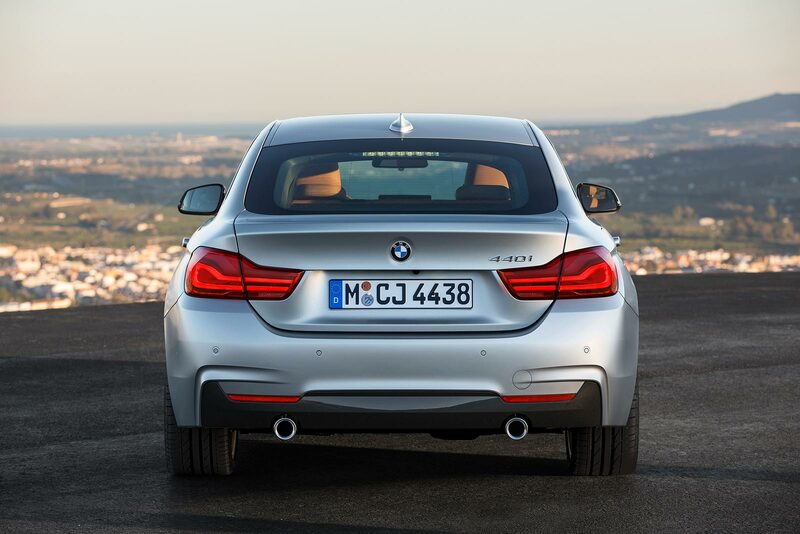 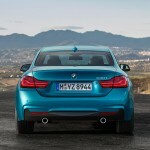 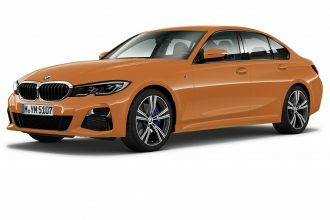 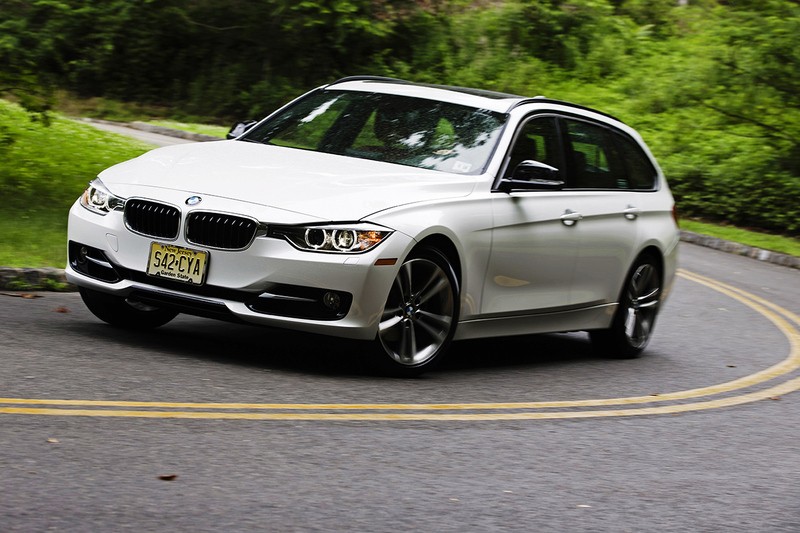 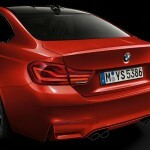 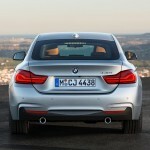 This sets them apart clearly from their sister series, the BMW 3 Series. 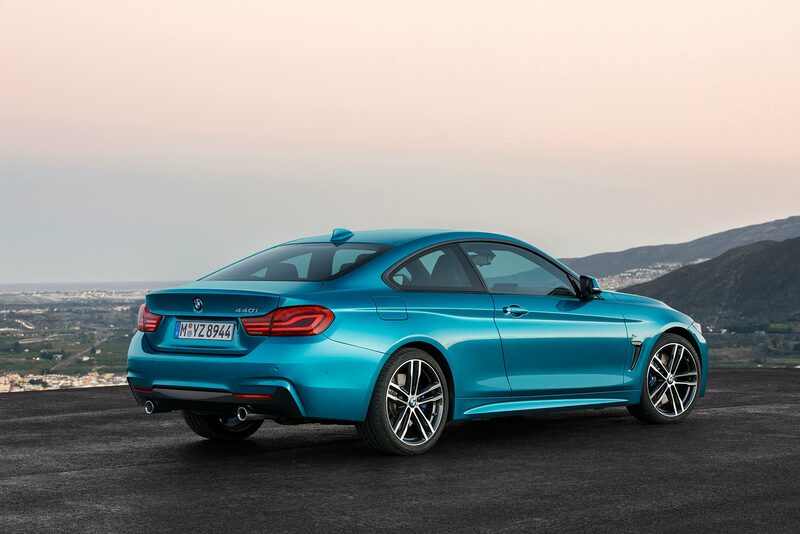 A figure of almost 400,000 cars delivered up to the end of 2016 is evidence of the global success achieved by the BMW 4 Series. 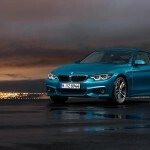 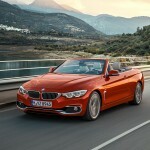 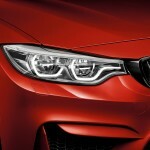 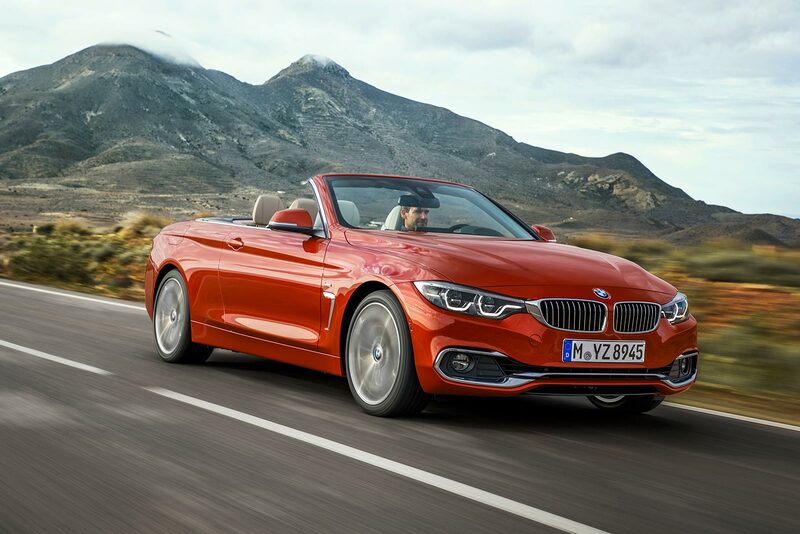 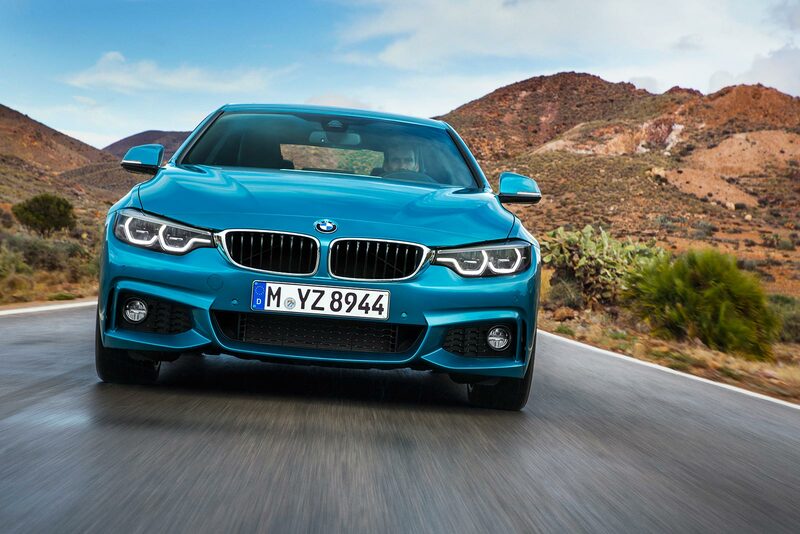 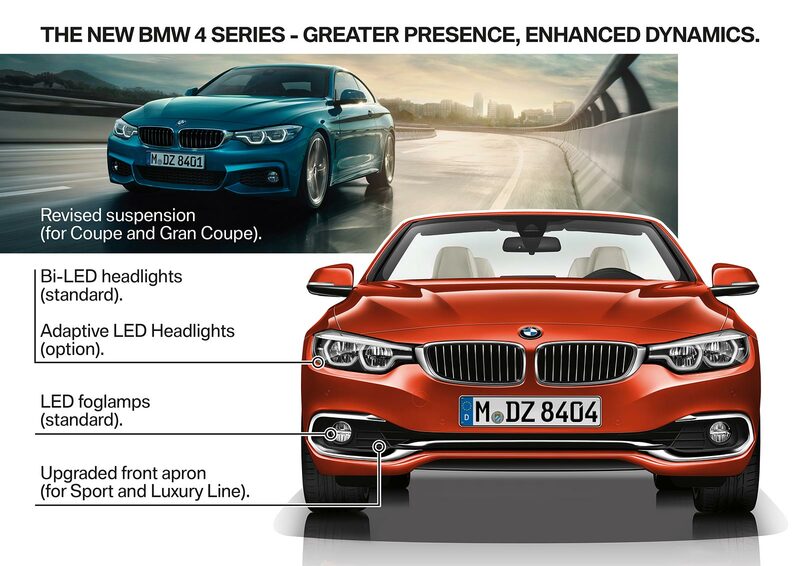 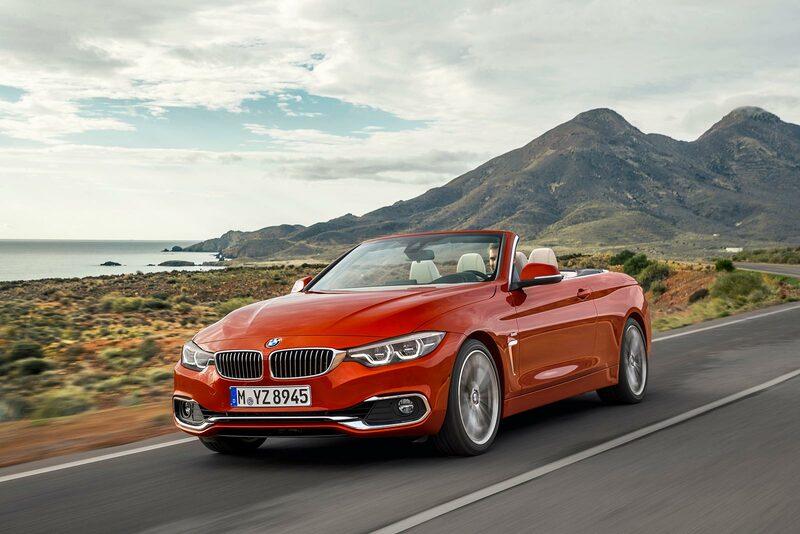 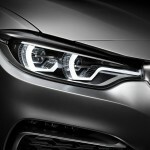 Progressive appearance: The BMW 4 Series now comes as standard with new bi-LED headlights and LED front foglamps. 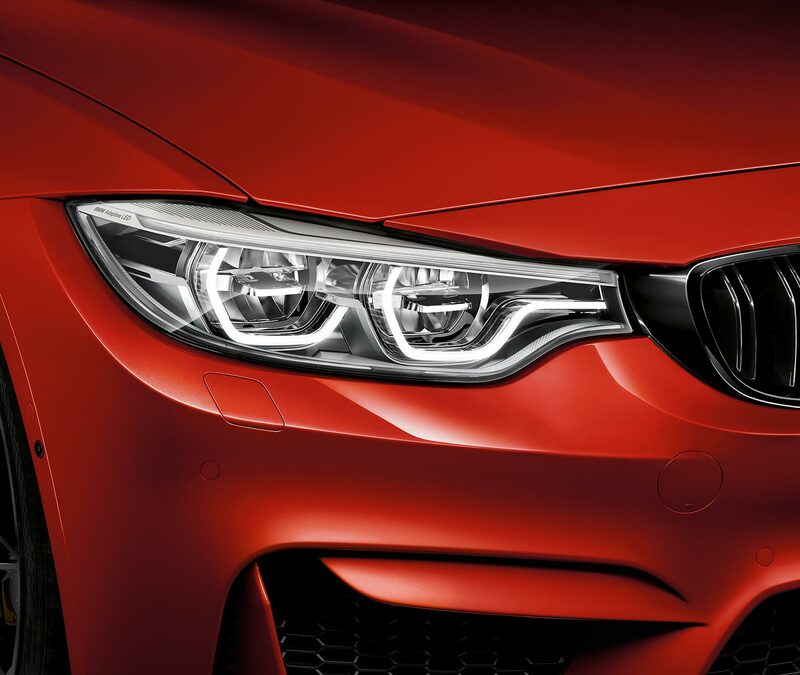 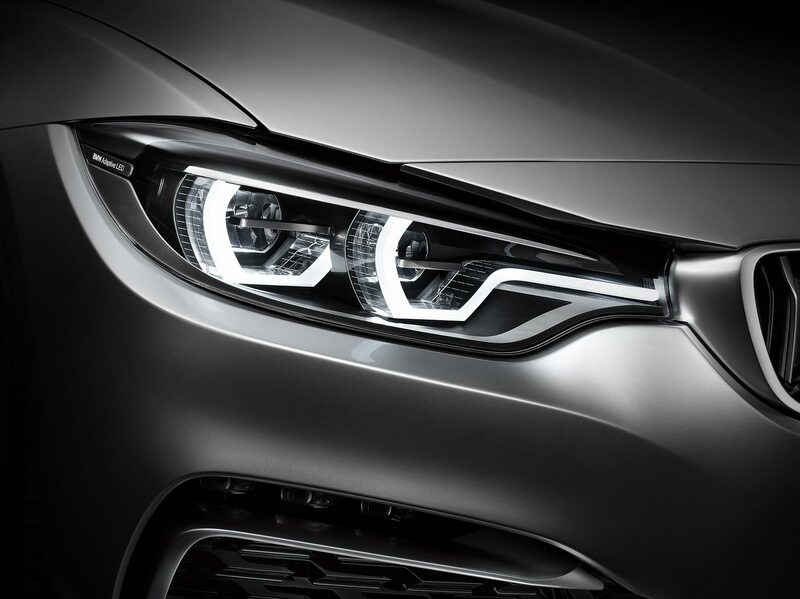 The optional adaptive full-LED headlights sharpen the character of the new BMW 4 Series with their striking hexagonal graphic. 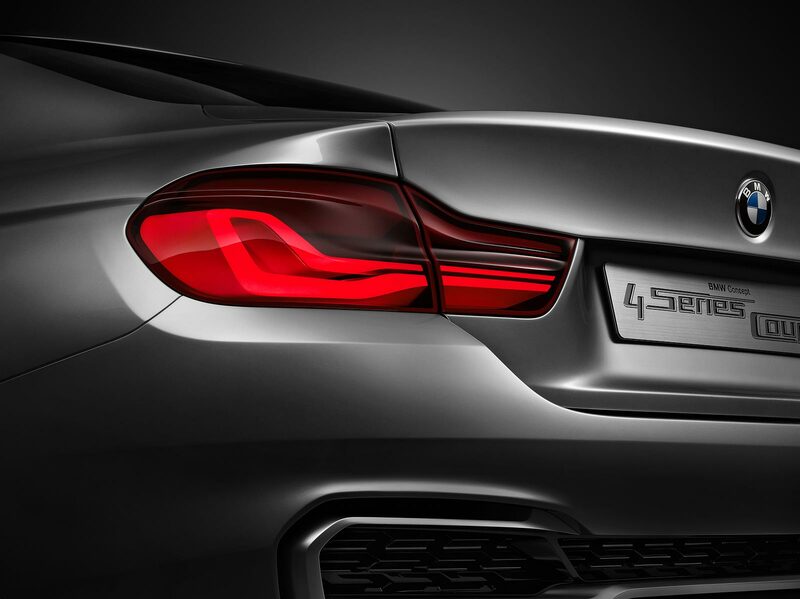 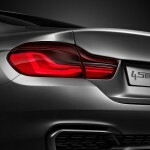 In addition, the likewise newly designed full-LED rear lights lend the BMW 4 Series models a fresh and innovative new look. 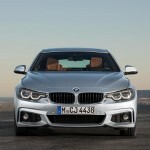 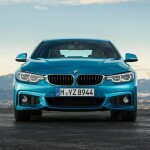 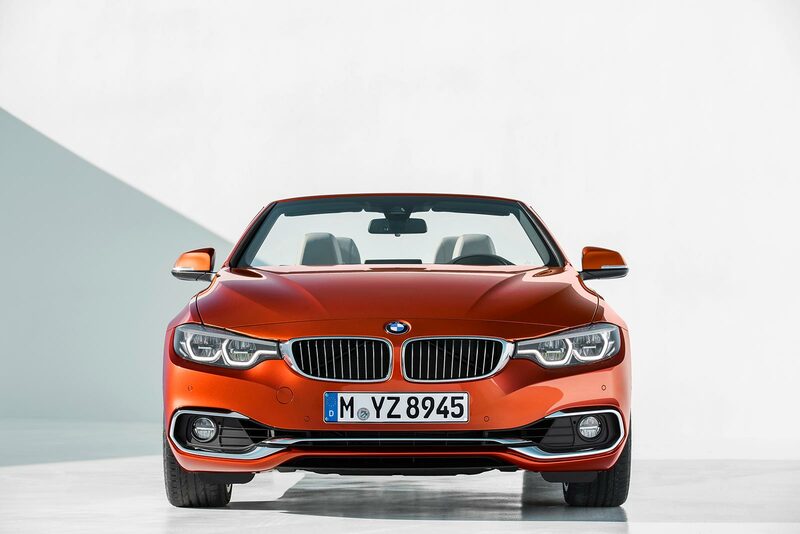 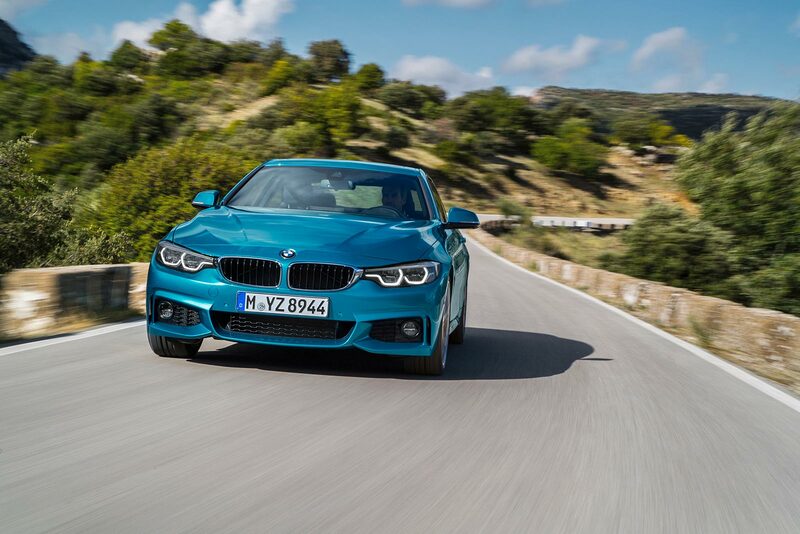 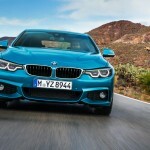 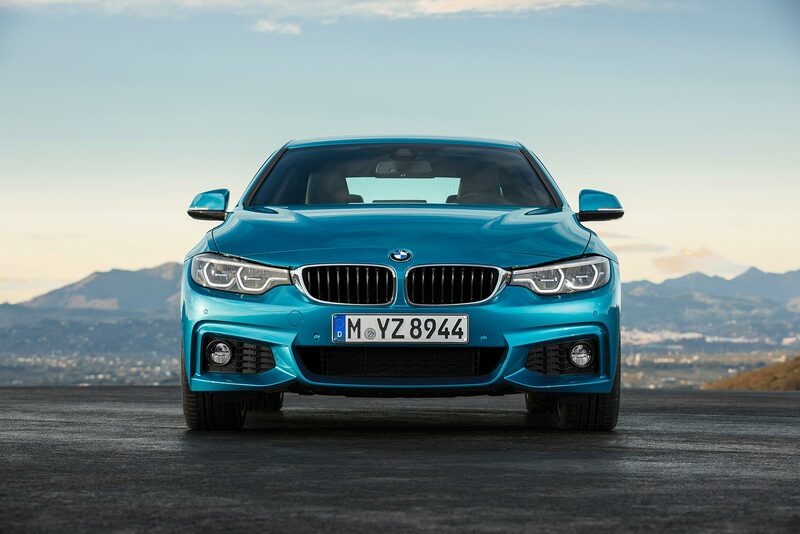 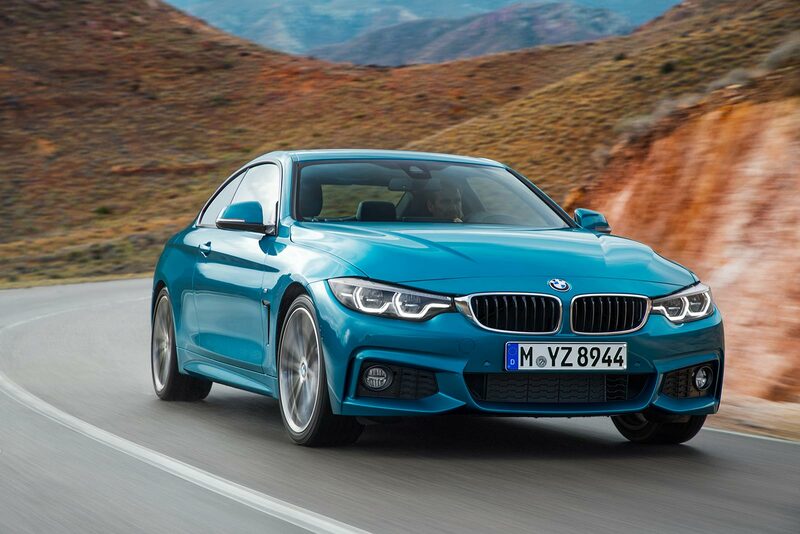 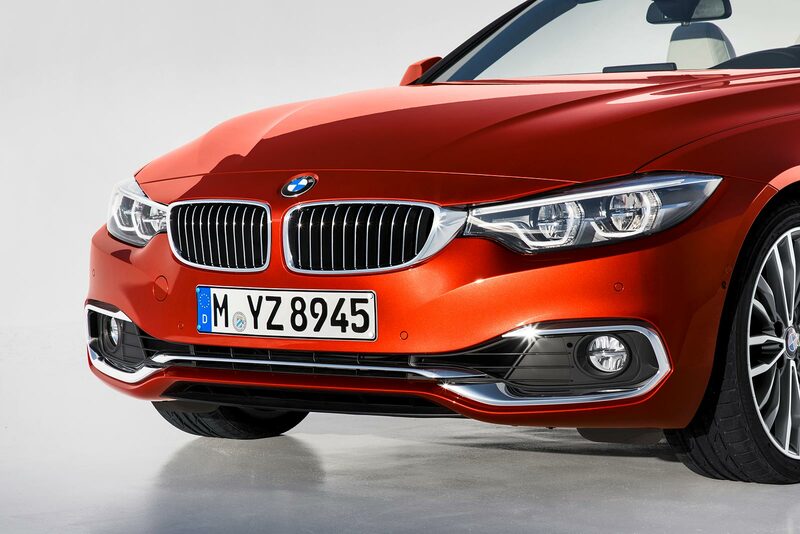 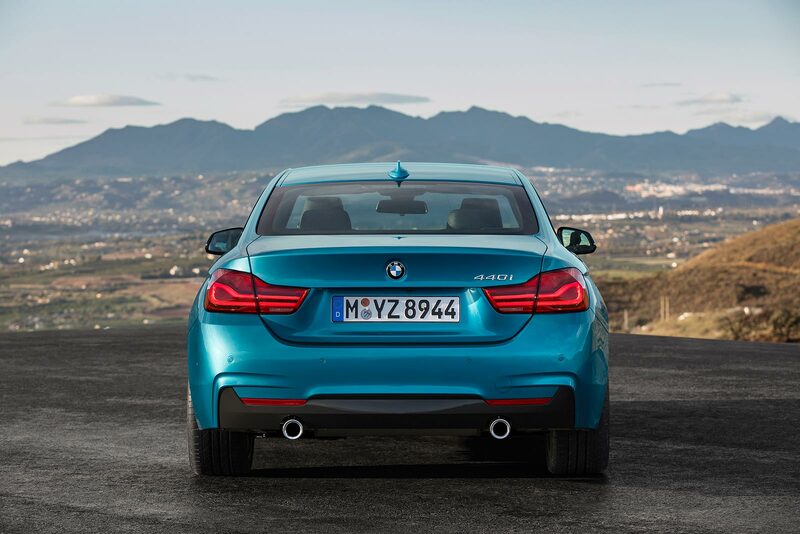 New design: An unbroken central air intake now marks out the front end of the BMW 4 Series. 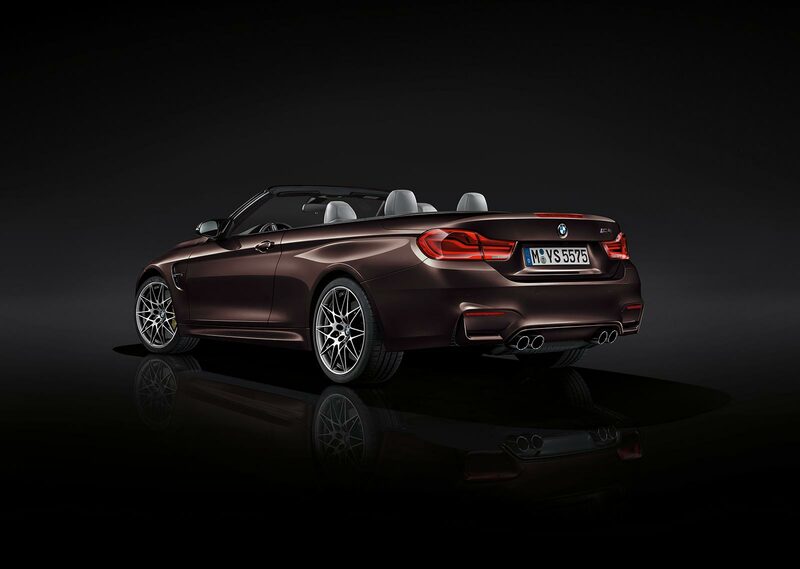 In the Sport Line and Luxury Line variants, an eye- catching bar frames virtually the entire air intake. 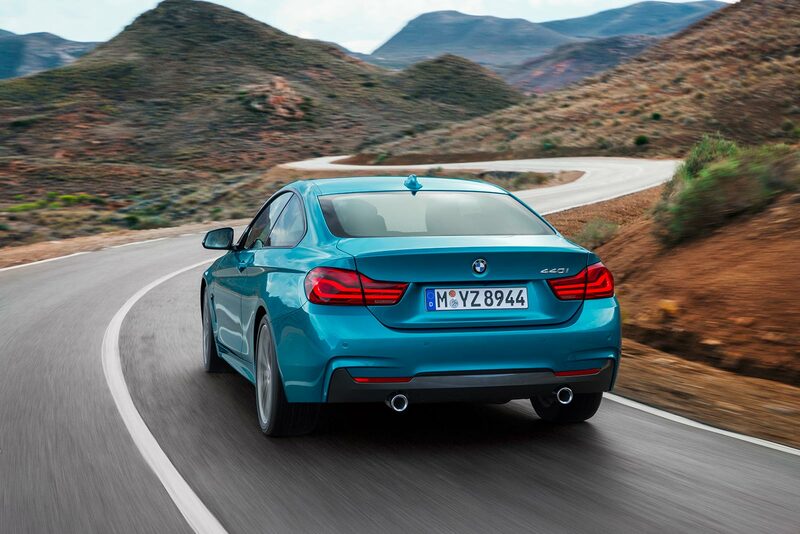 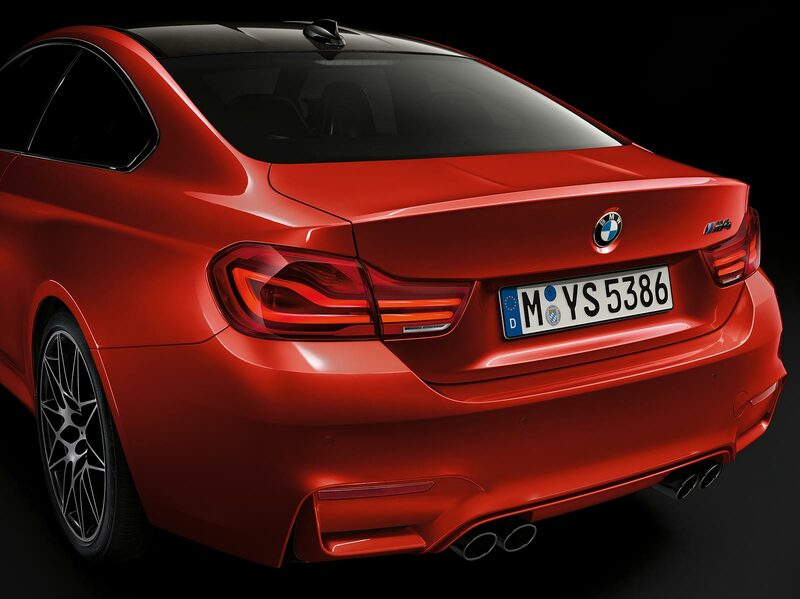 The all-new and now more tightly contoured rear apron strengthens the already powerful, dynamic design language of the new BMW 4 Series models. 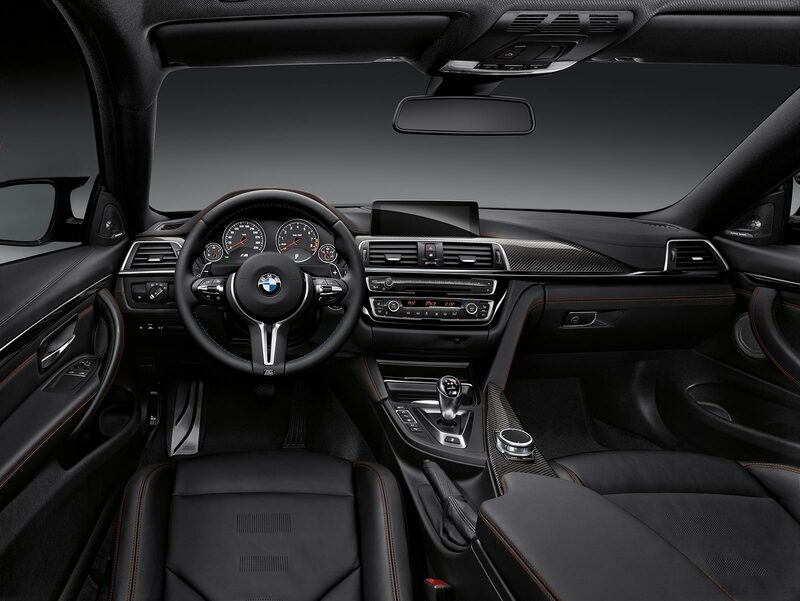 Eye for detail: New electroplated elements, chrome applications and the centre console in high-gloss black accentuate the interior’s exclusivity and rich sense of quality. 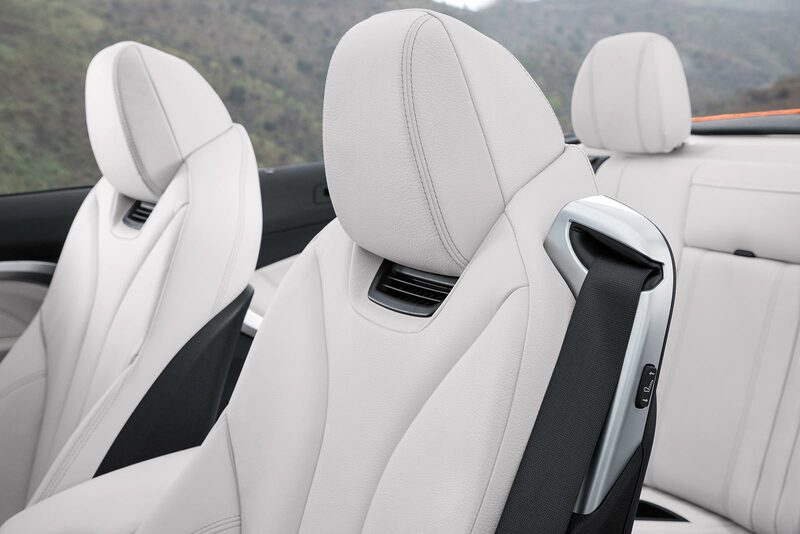 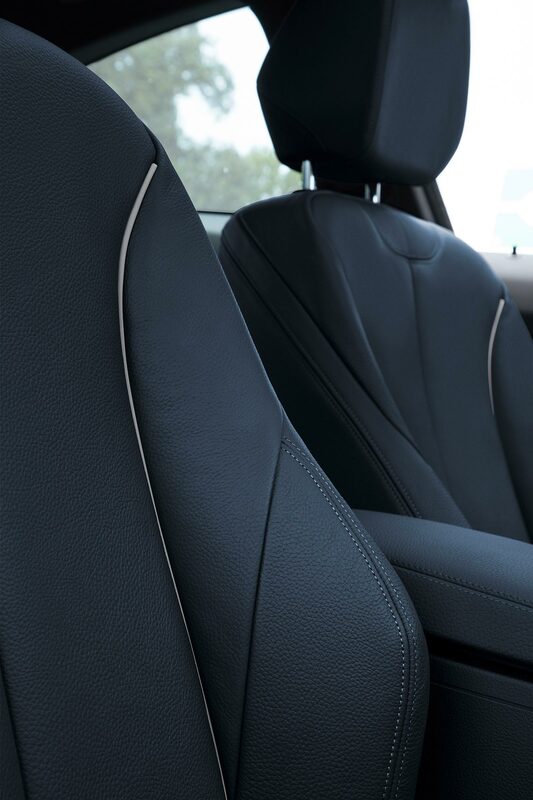 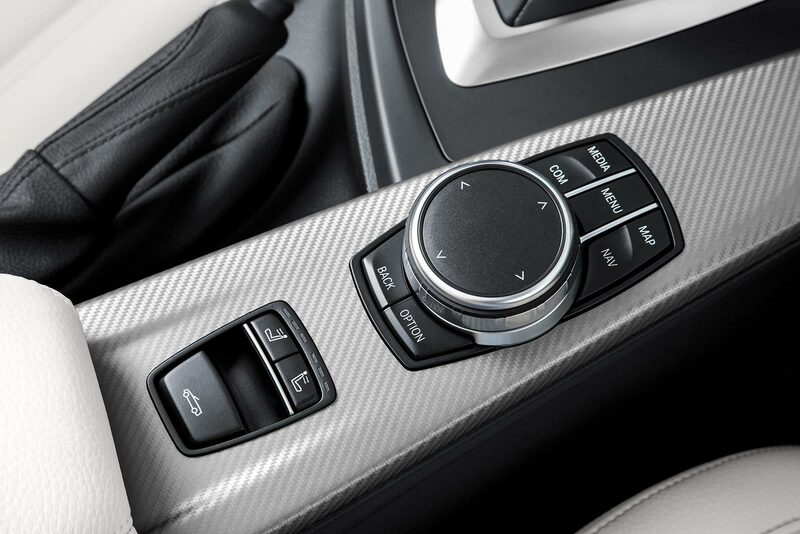 The double stitching on the instrument panel brings another accent to the interior design. 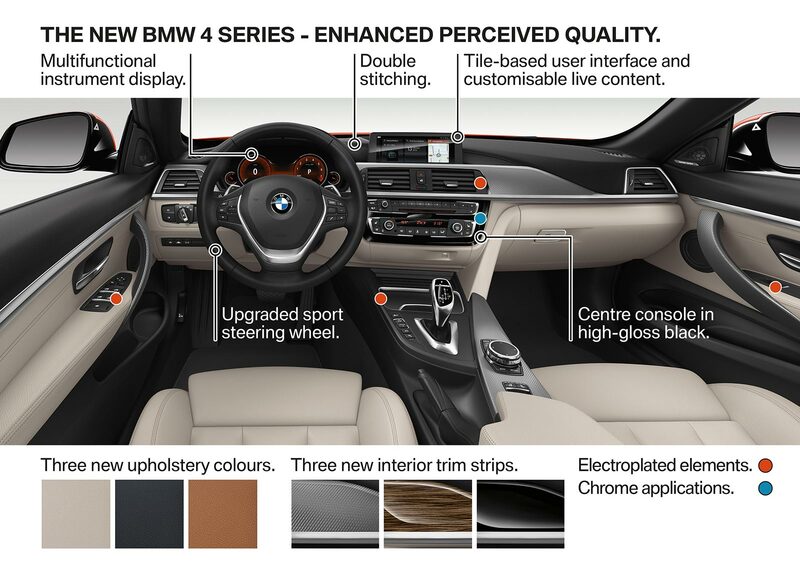 Three new upholstery colours and a trio of new interior trim strips further expand the selection of fixtures and fittings for customers. 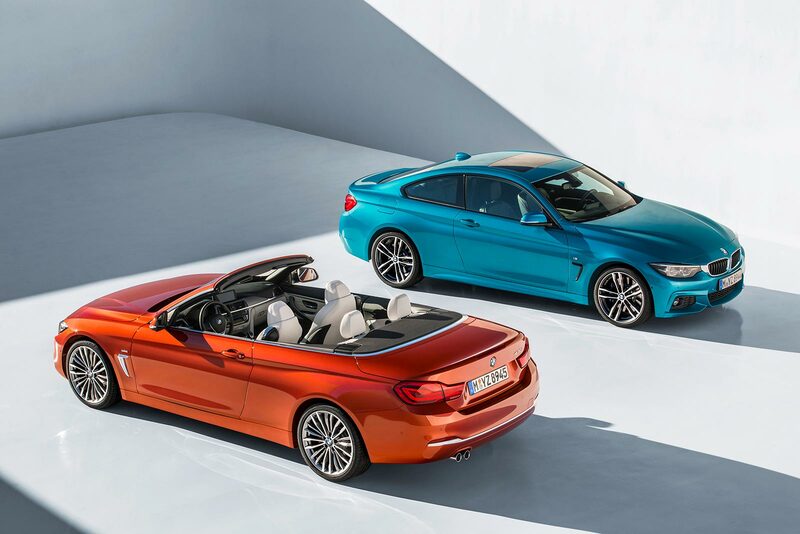 Individual diversity: The two new and vivid colour shades Snapper Rocks Blue and Sunset Orange join the list of exterior paint finishes. 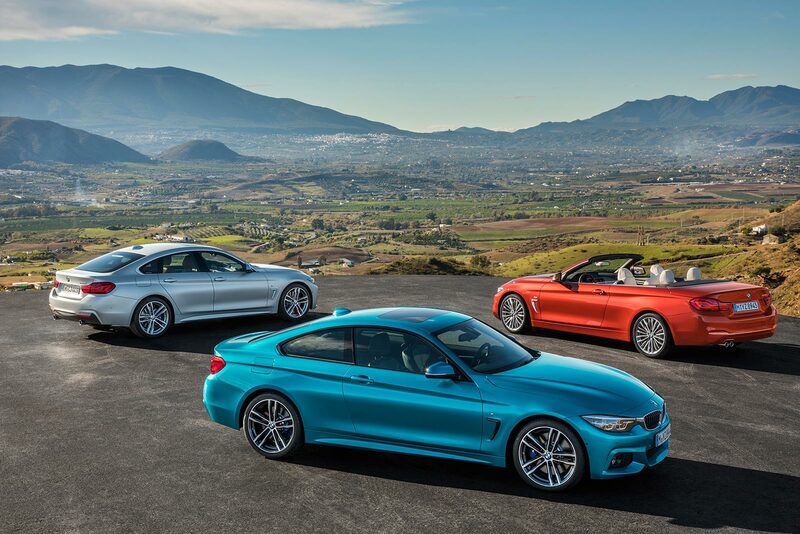 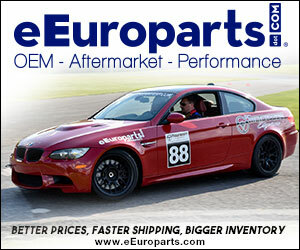 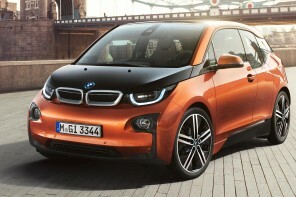 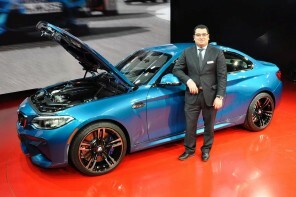 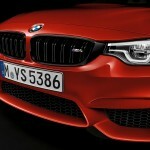 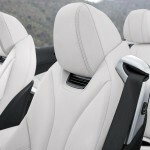 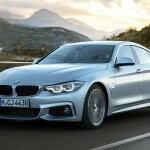 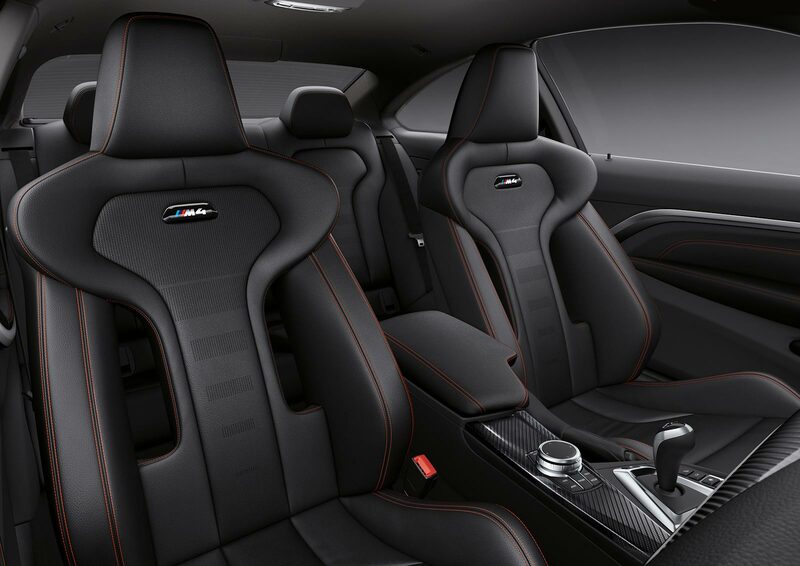 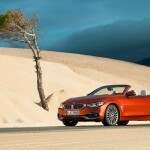 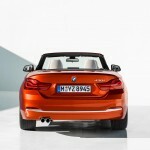 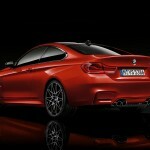 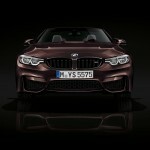 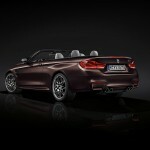 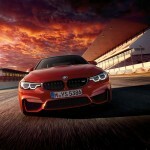 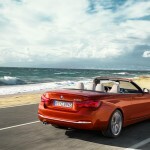 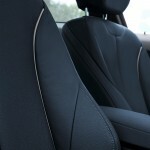 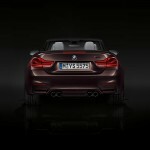 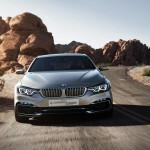 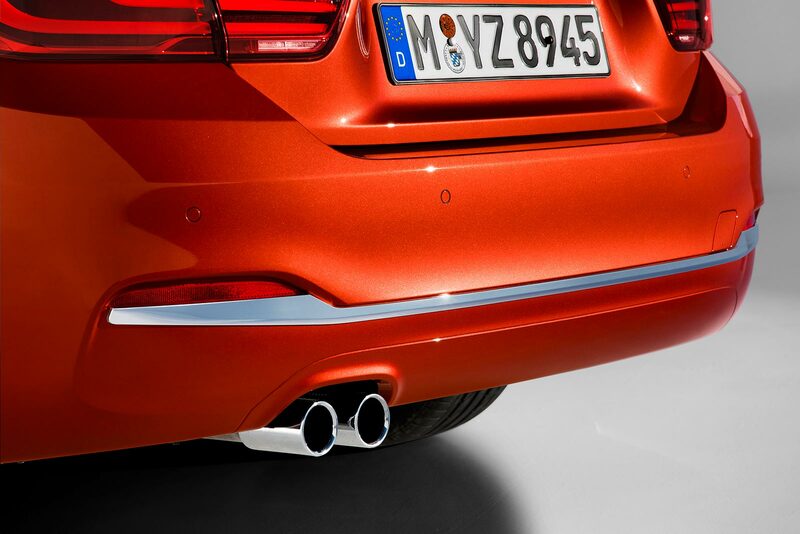 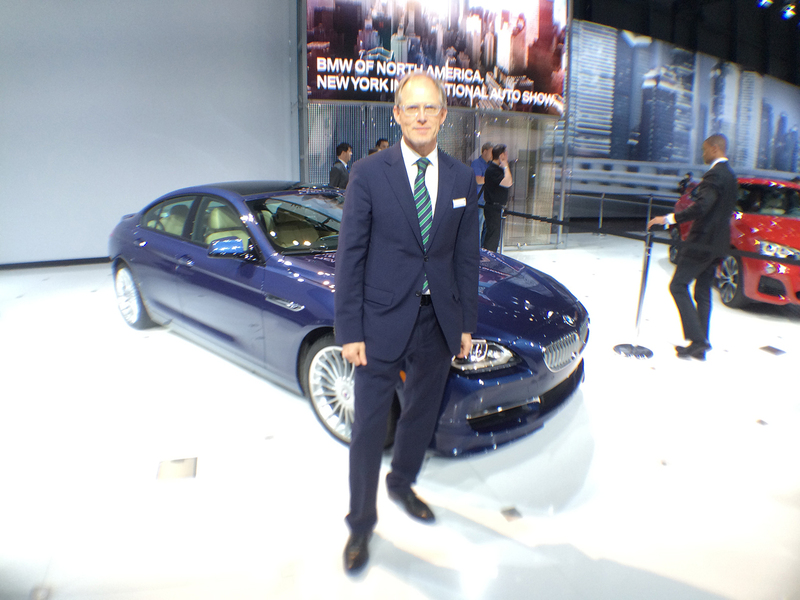 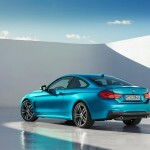 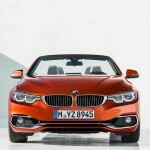 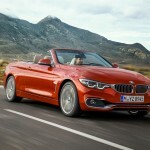 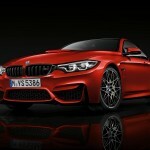 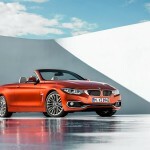 They are available exclusively for the BMW 4 Series models. 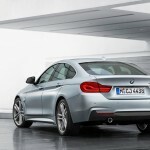 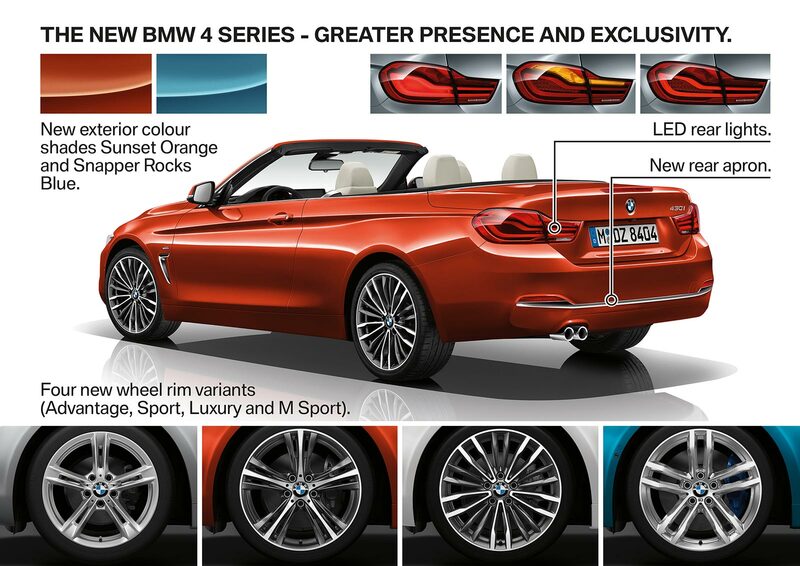 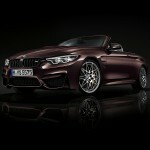 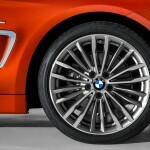 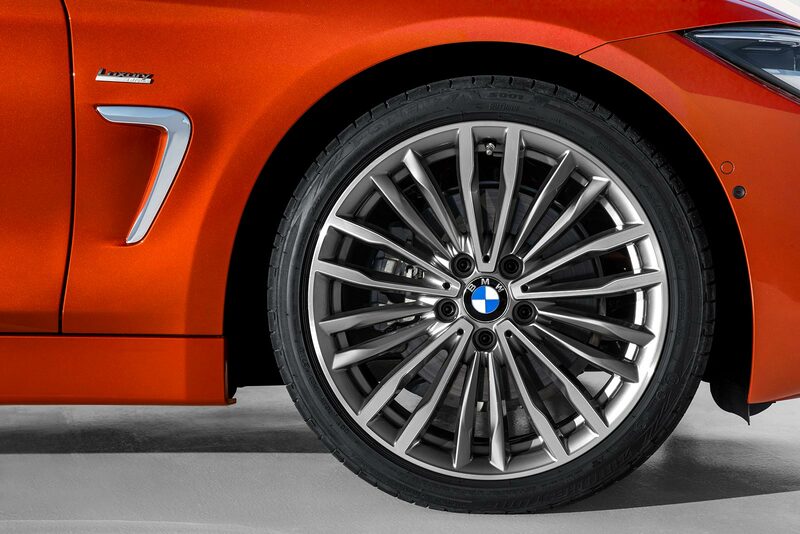 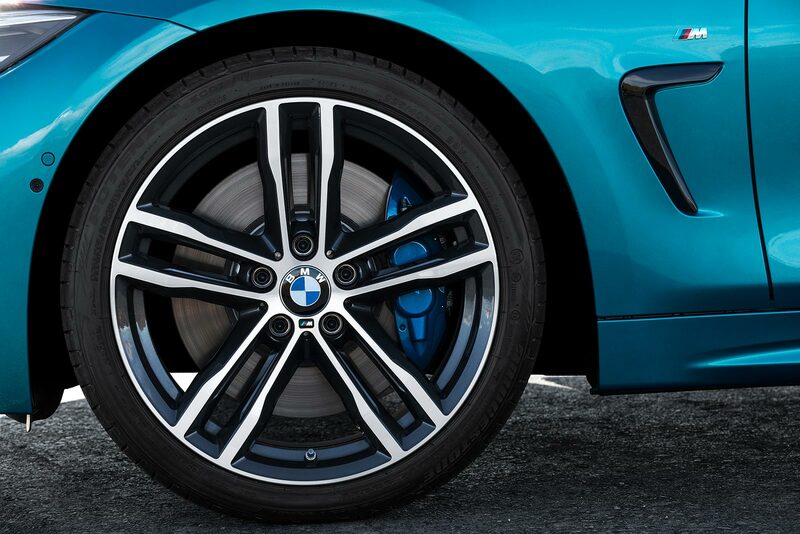 Also reserved for the BMW 4 Series are four new wheel rim designs, which offer additional scope for individualisation. 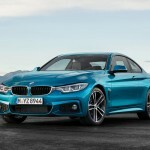 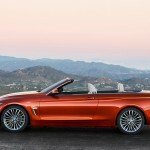 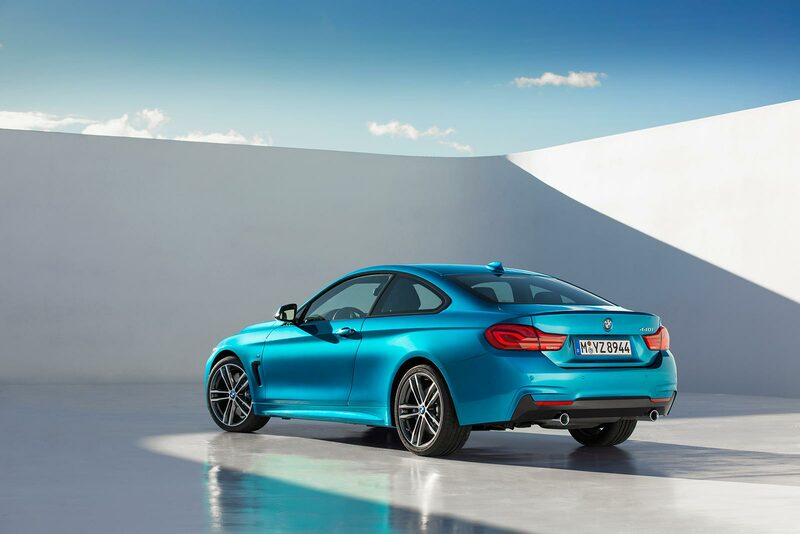 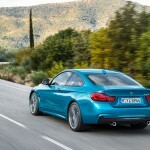 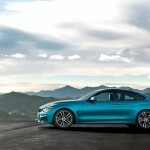 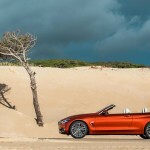 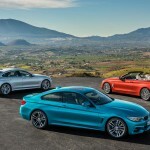 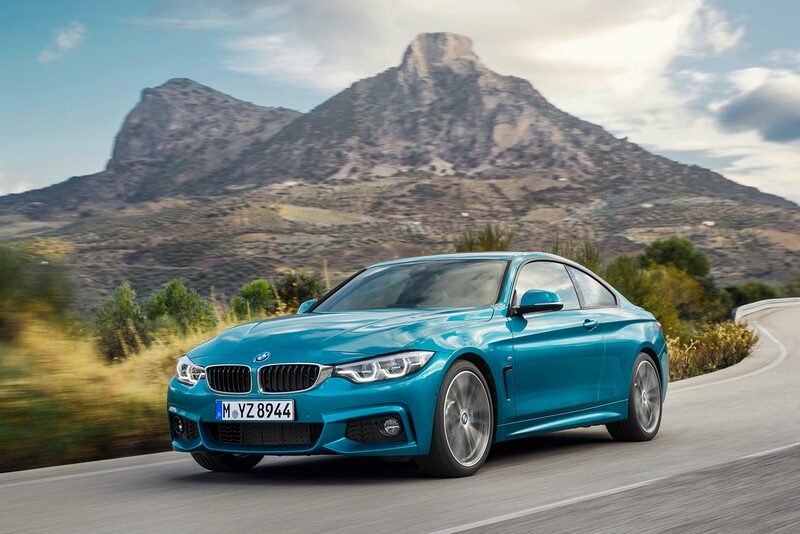 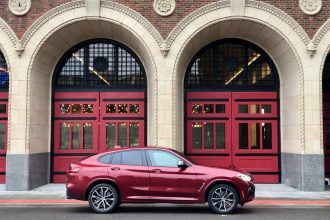 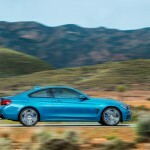 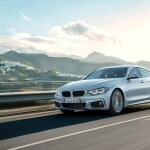 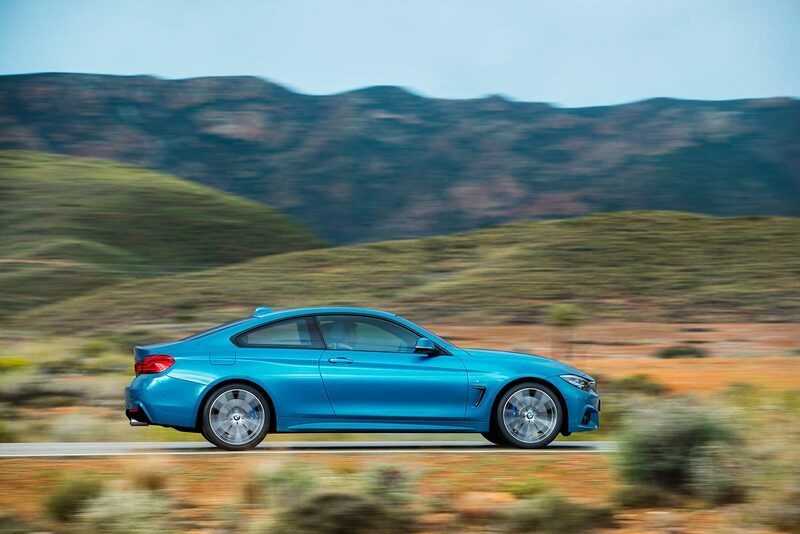 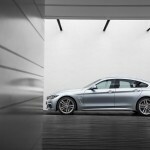 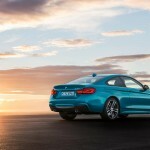 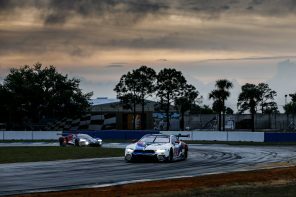 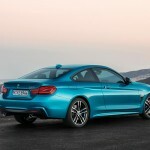 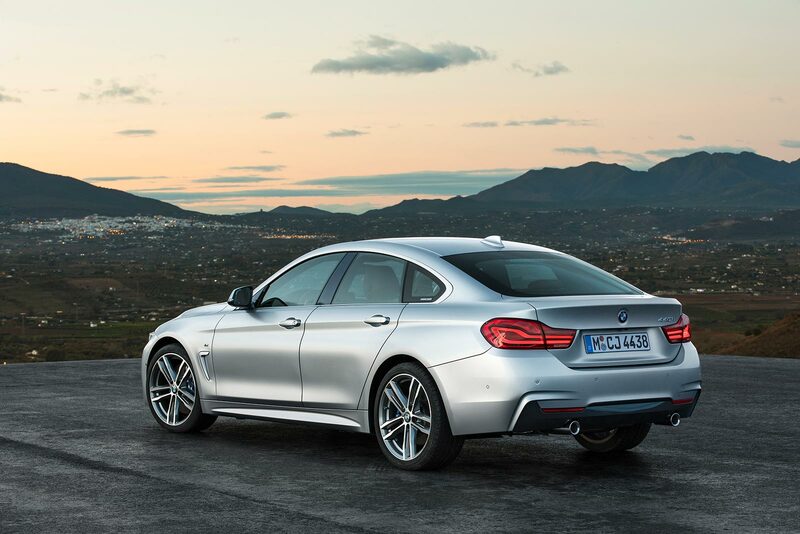 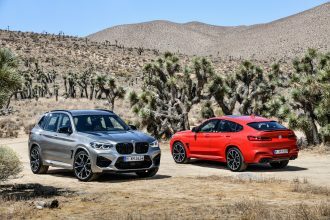 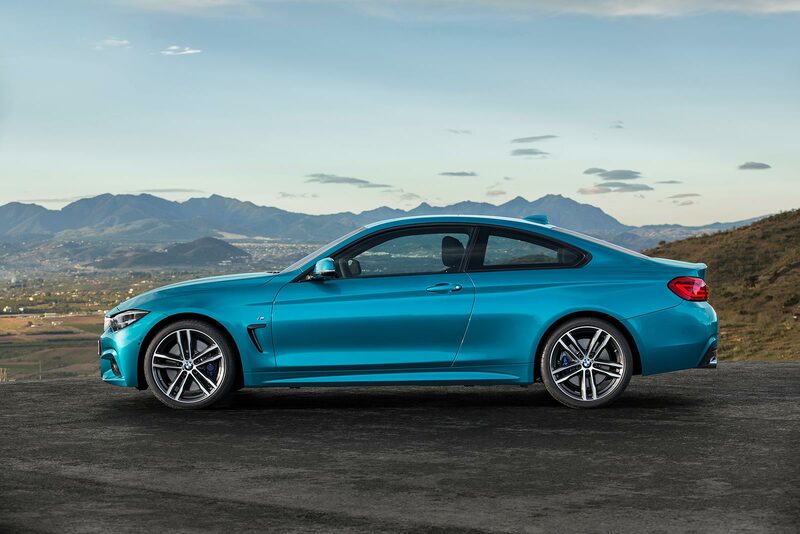 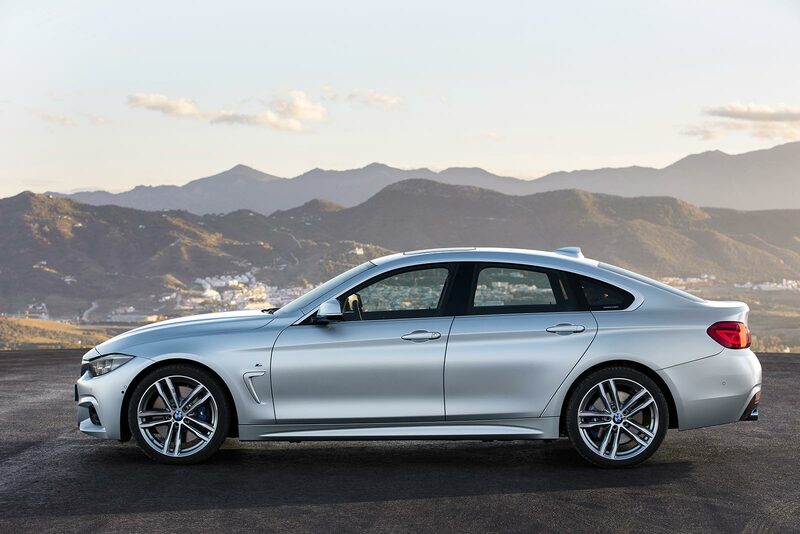 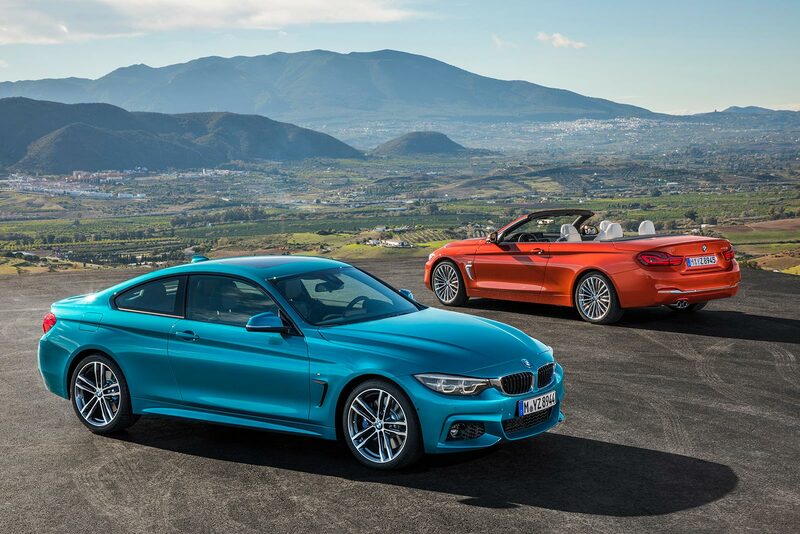 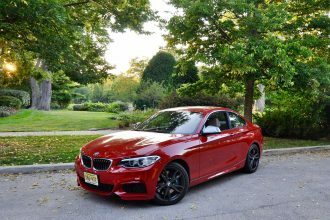 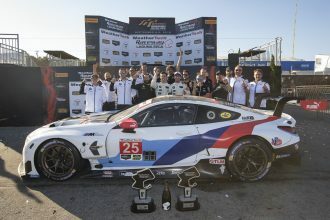 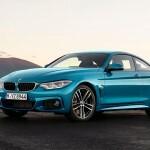 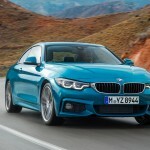 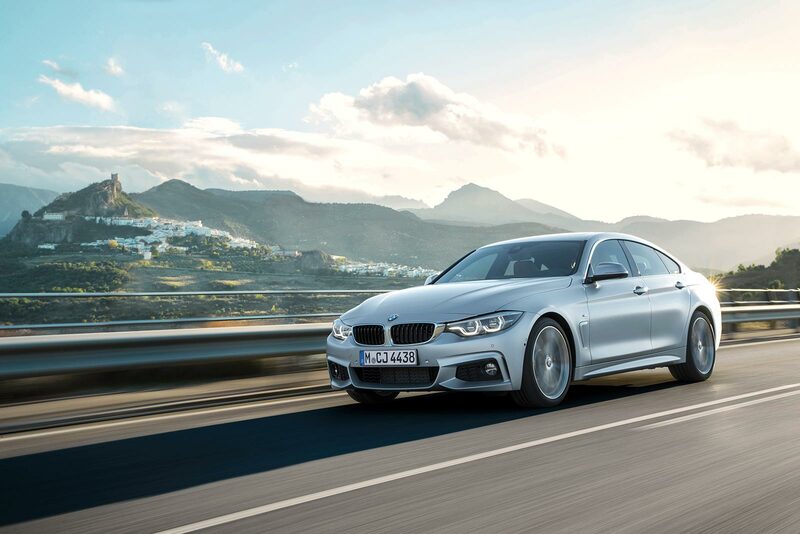 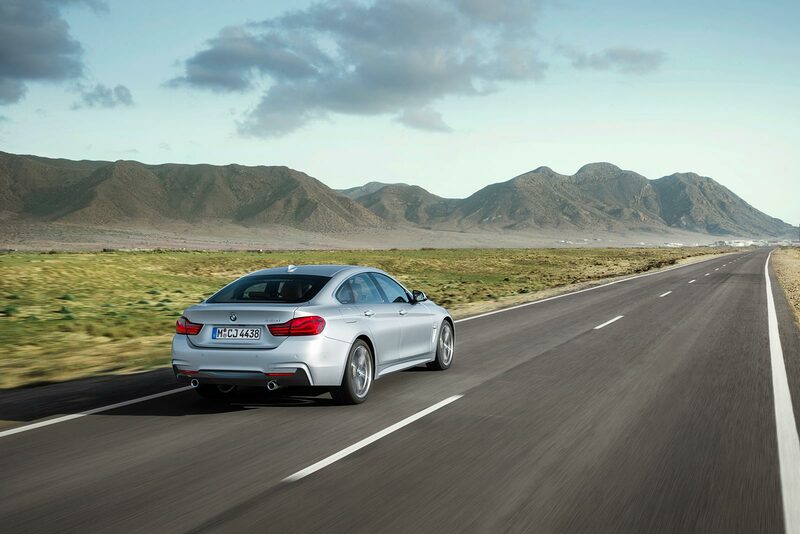 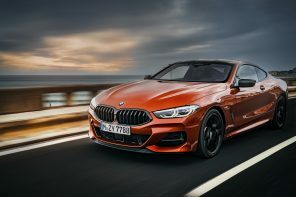 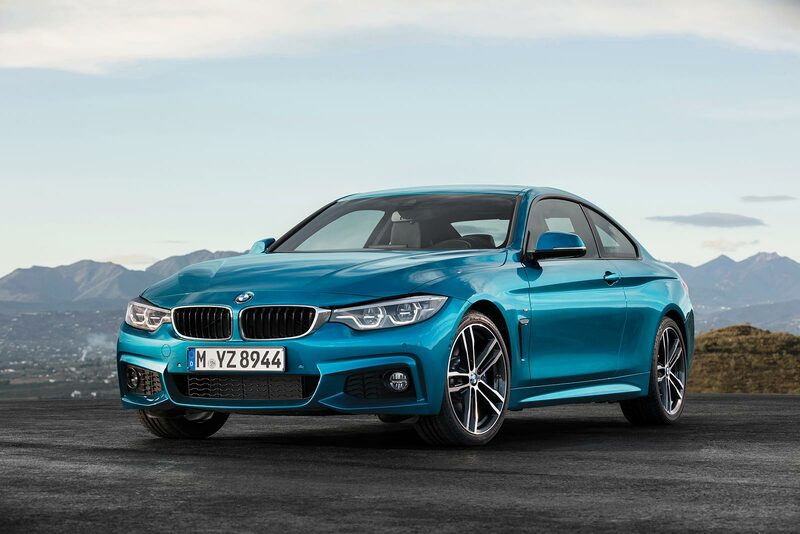 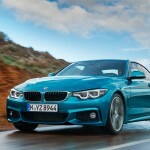 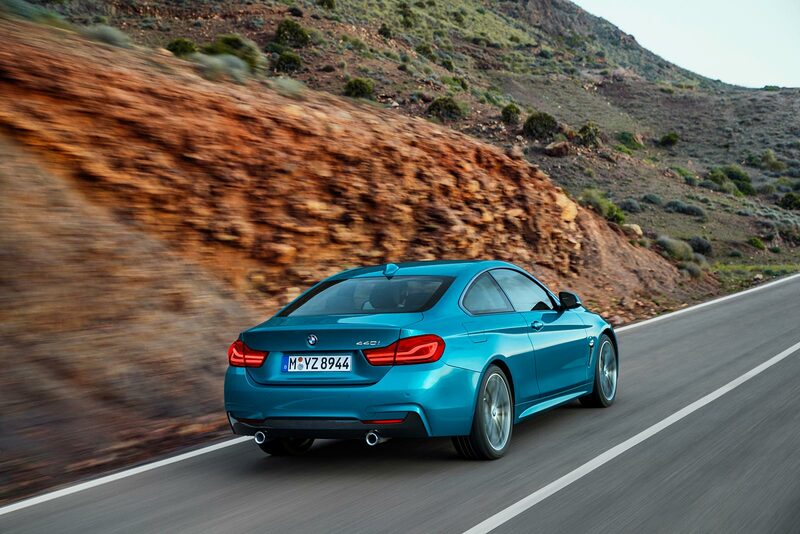 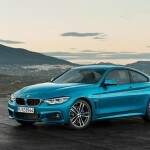 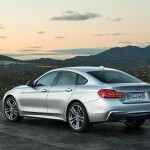 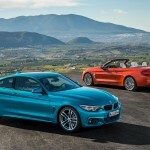 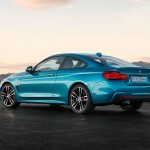 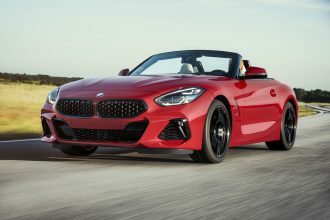 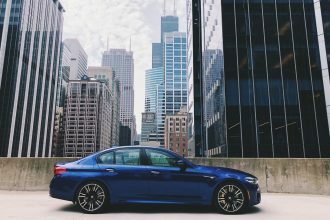 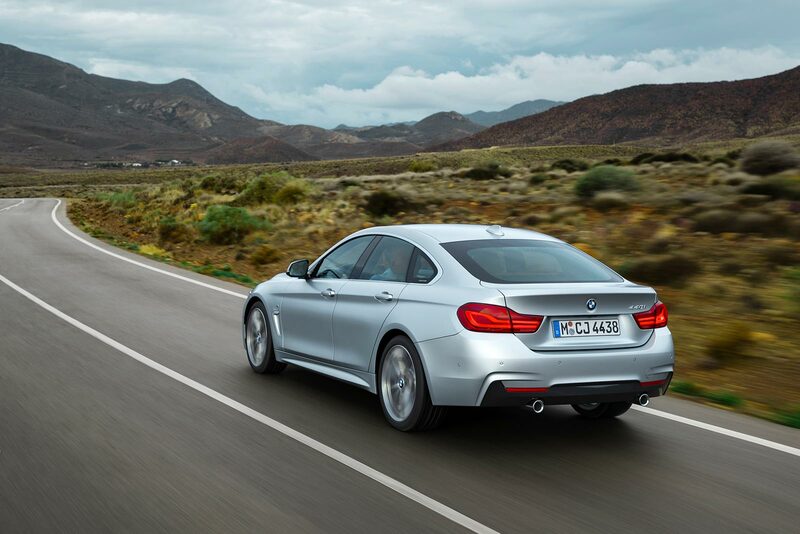 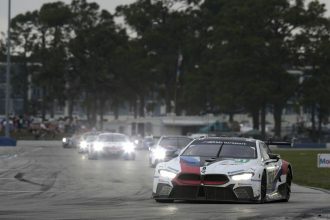 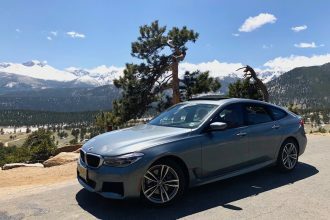 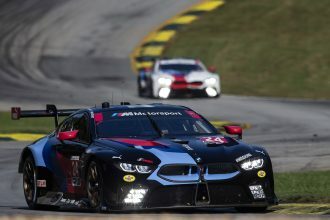 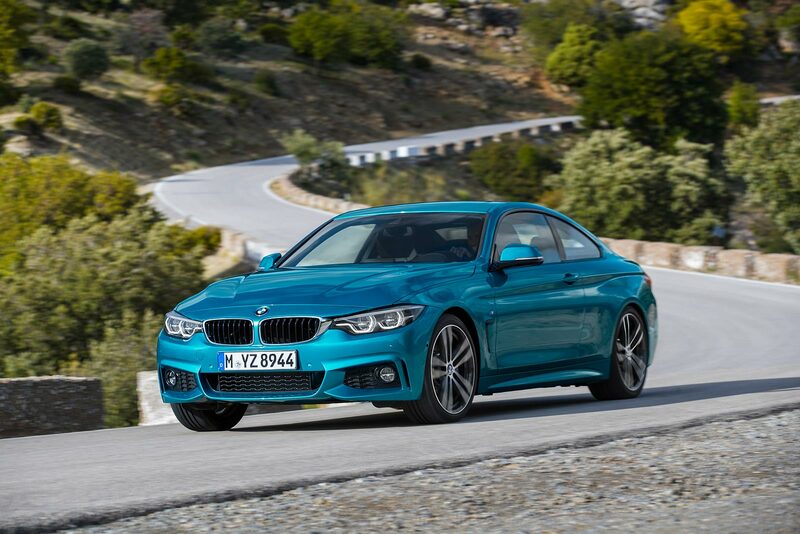 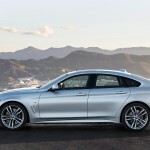 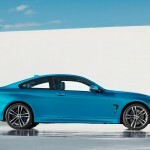 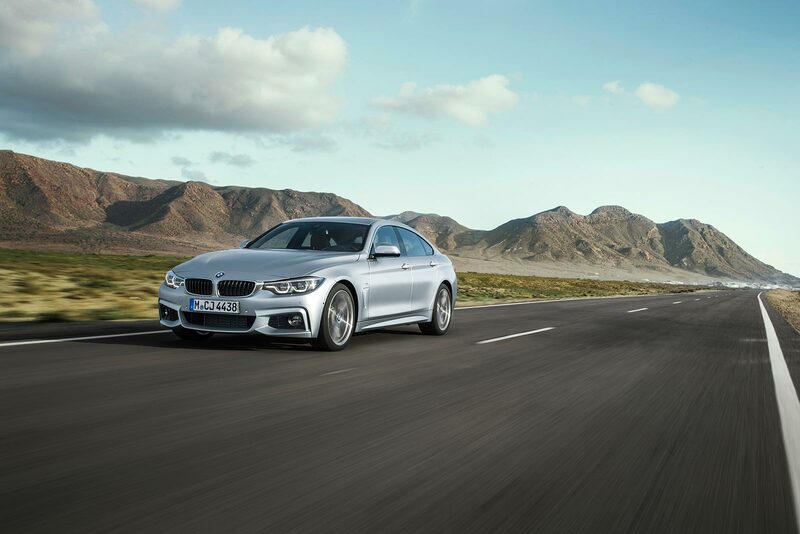 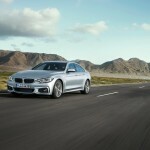 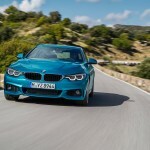 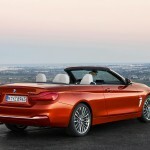 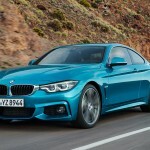 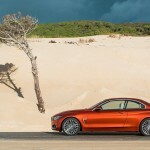 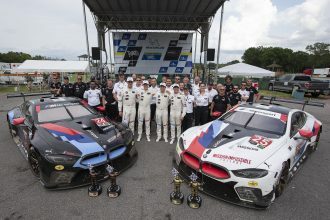 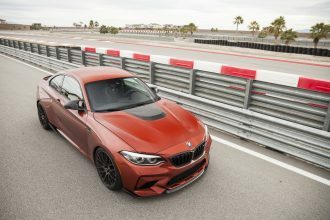 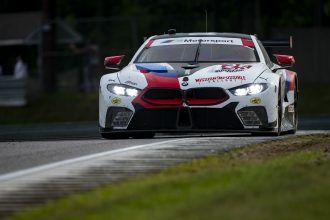 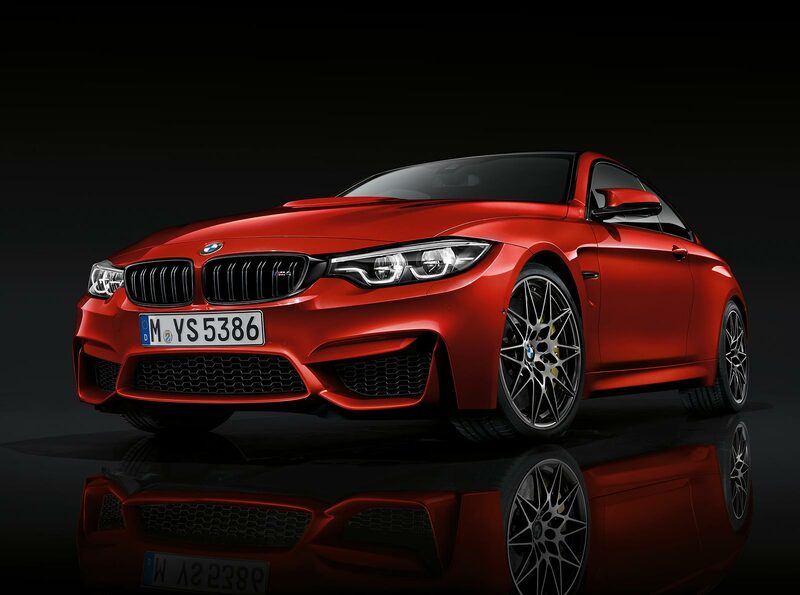 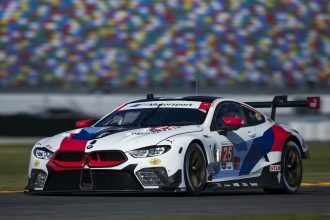 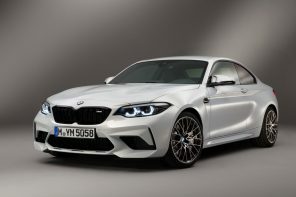 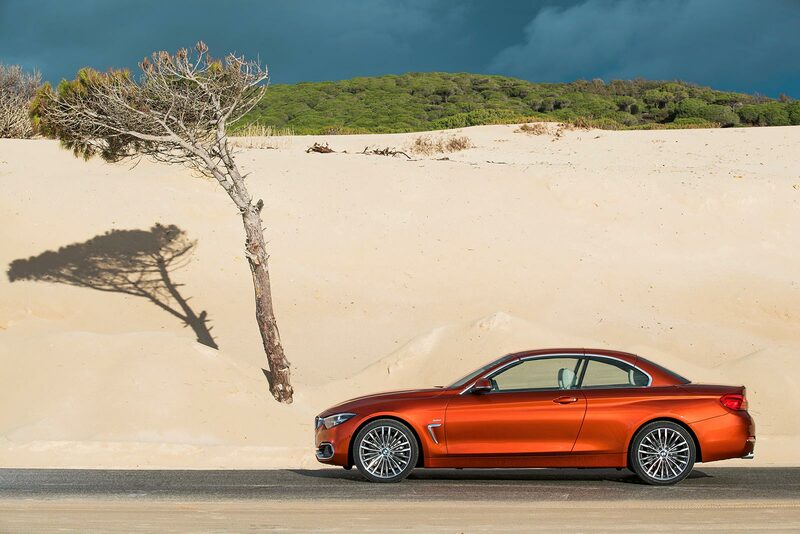 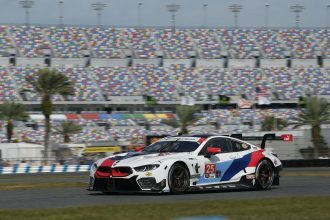 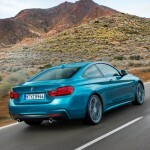 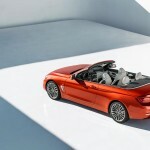 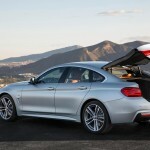 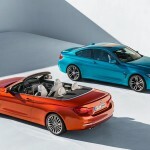 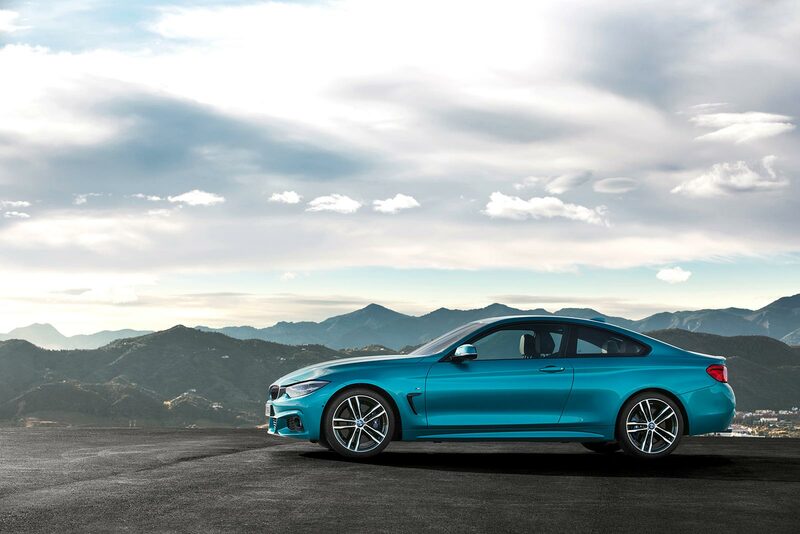 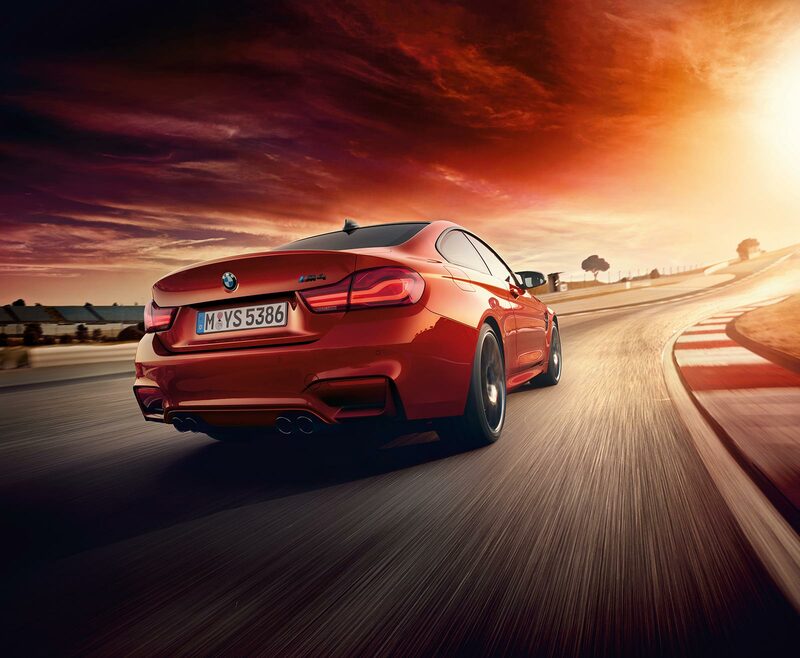 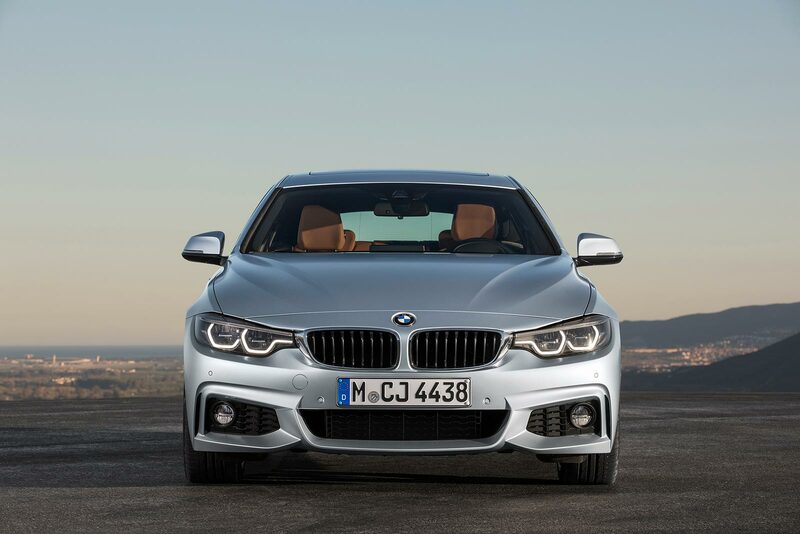 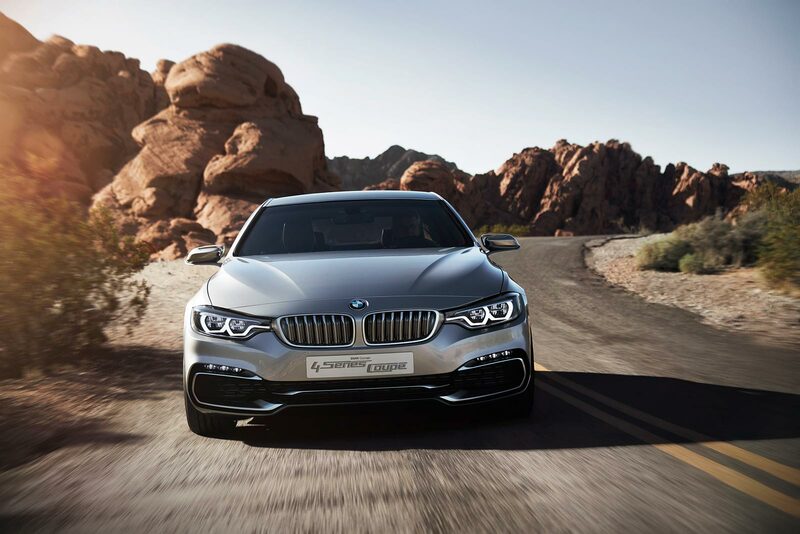 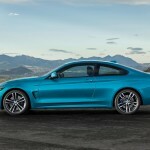 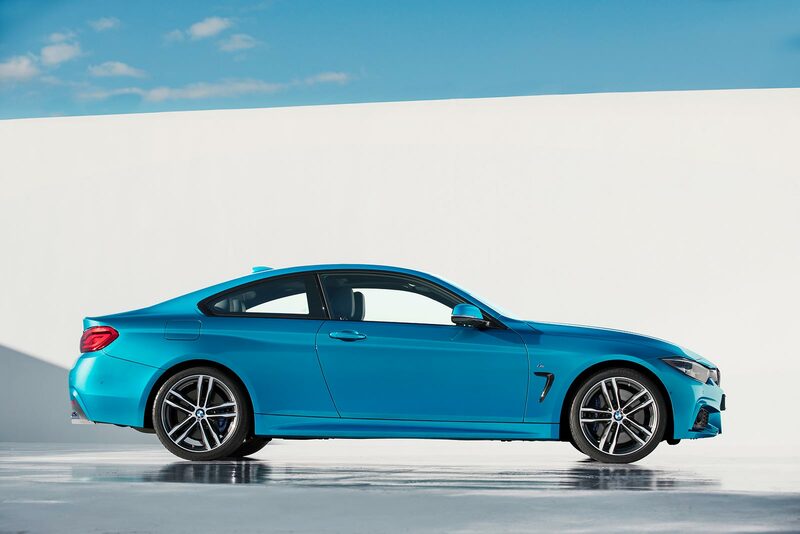 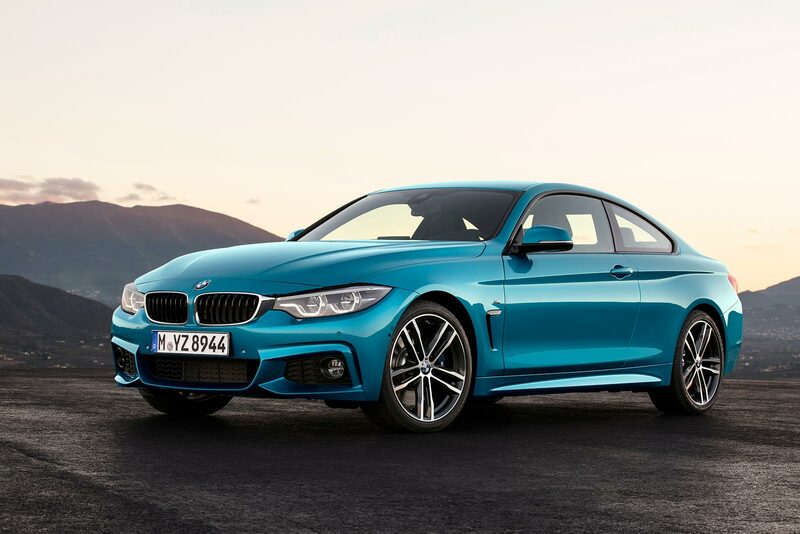 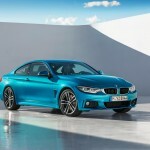 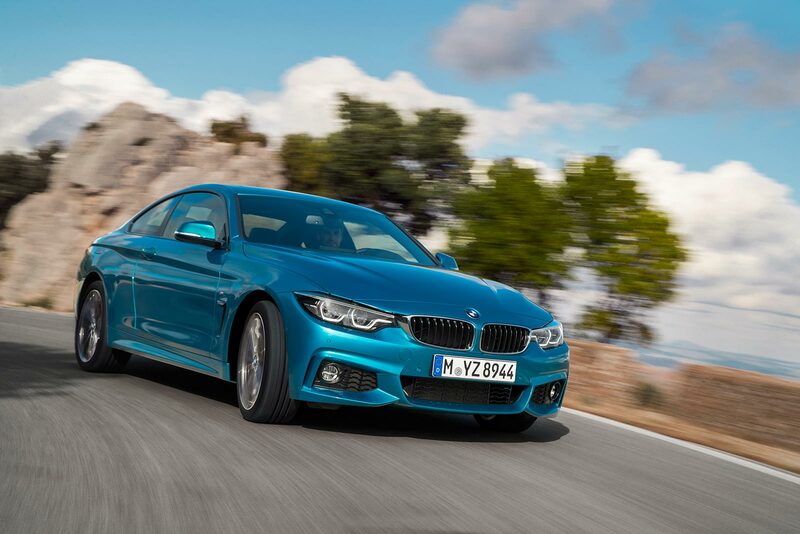 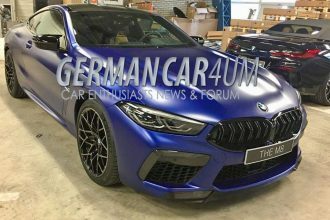 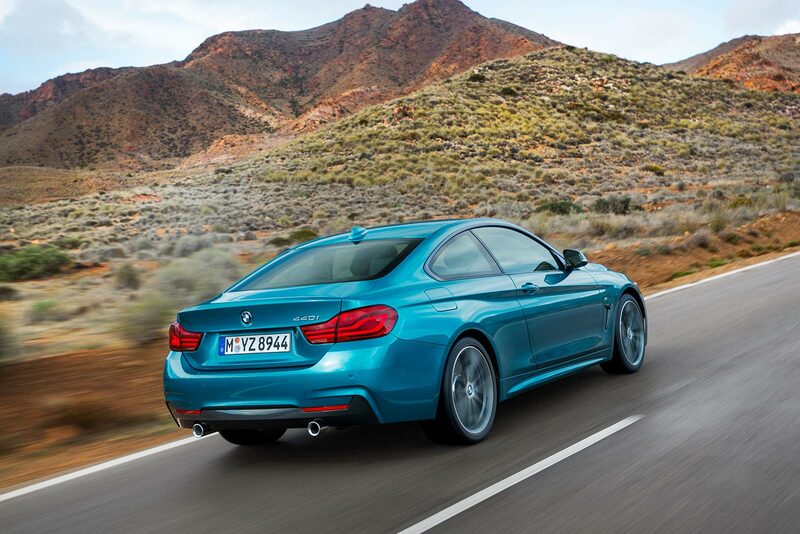 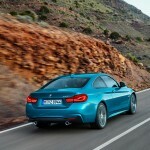 Raising sporting appeal another notch: The revised suspension of the BMW 4 Series Coupe and BMW 4 Series Gran Coupe sharpens their dynamic ability while delivering the same excellent ride quality. 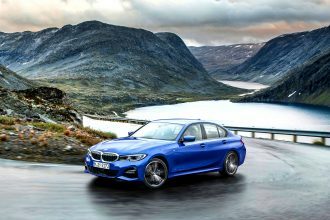 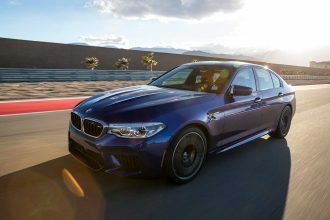 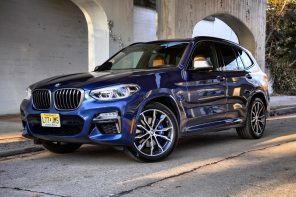 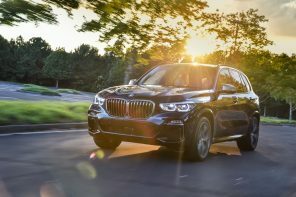 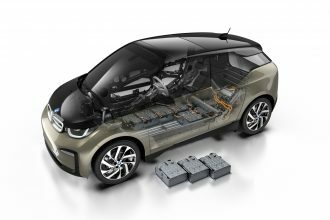 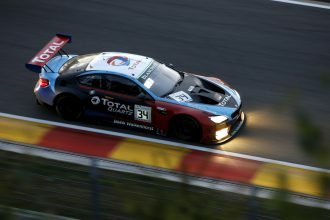 Power and efficiency: All of the petrol engines and the four-cylinder diesel units are part of the latest BMW EfficientDynamics engine family and feature BMW TwinPower Turbo technology. 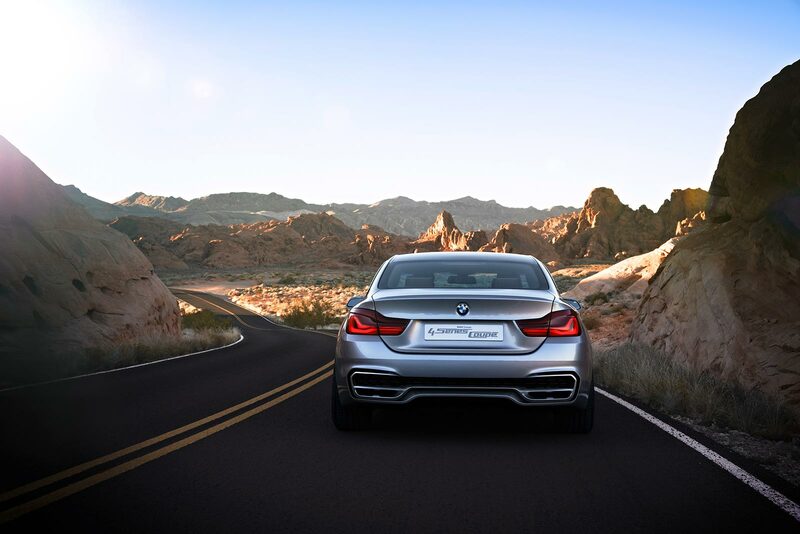 They combine unbeatable performance with outstanding efficiency. 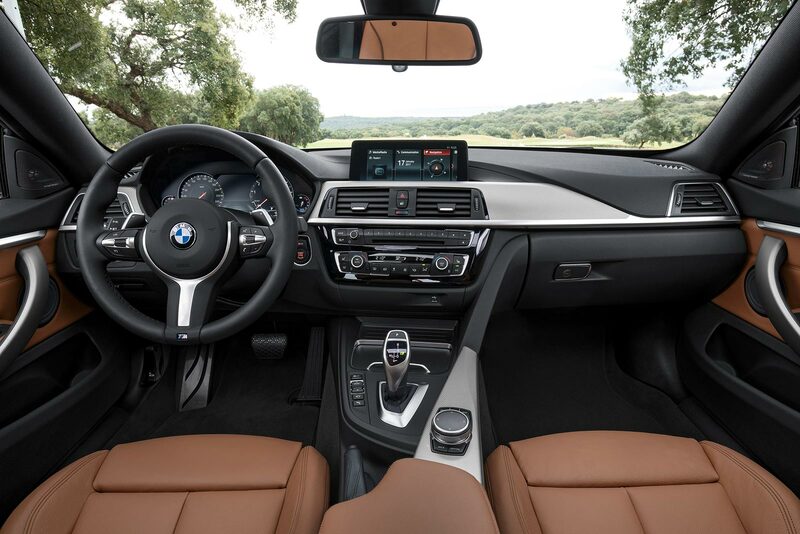 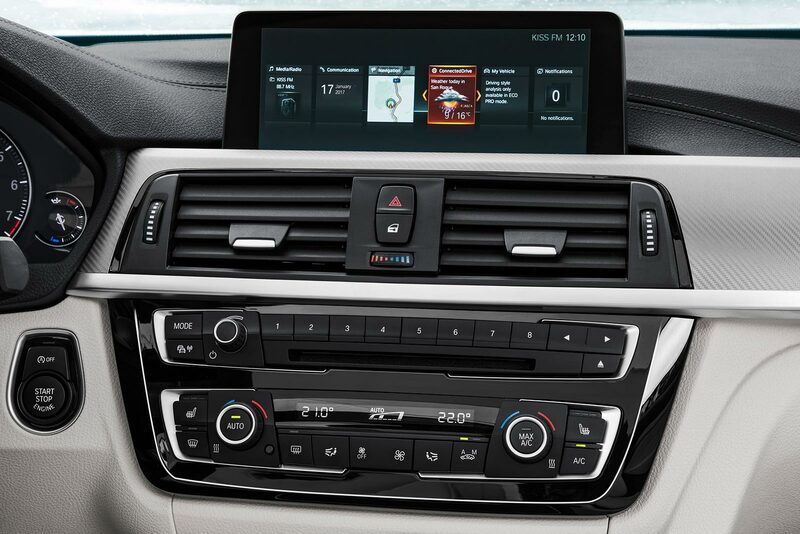 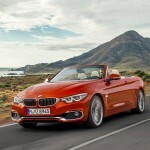 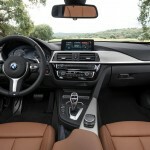 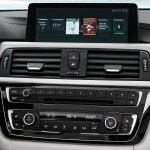 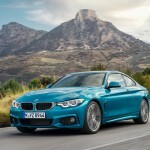 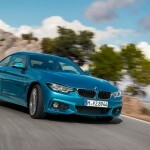 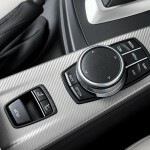 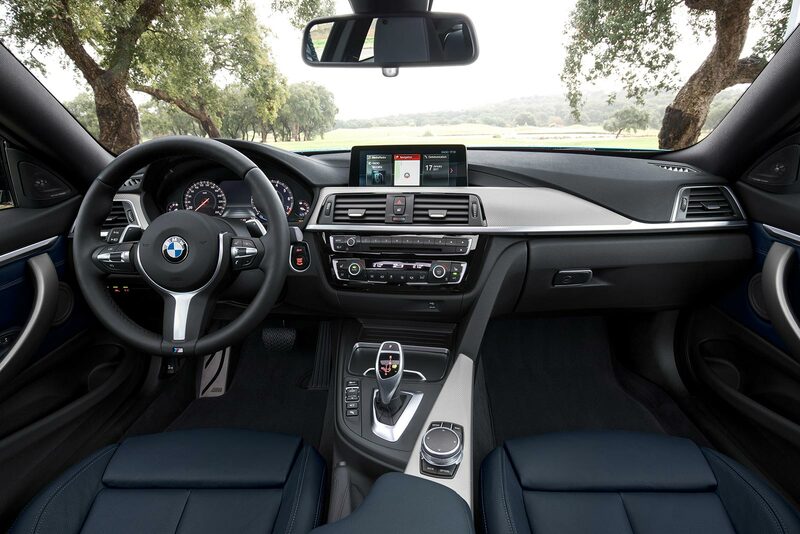 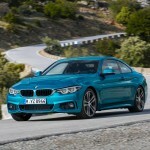 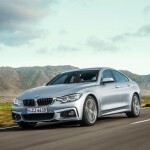 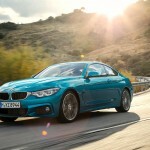 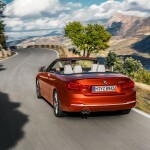 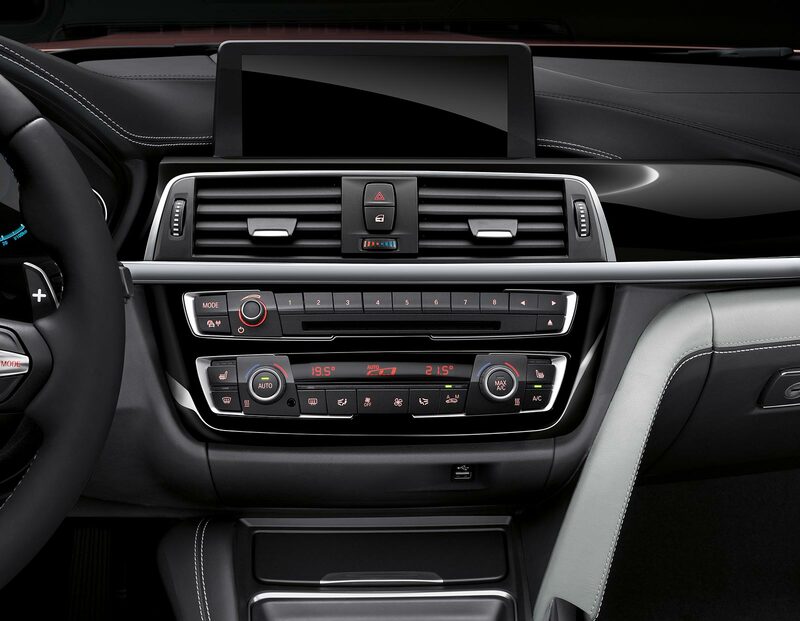 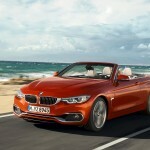 New directions: The latest version of the BMW Navigation system Professional is now also fitted in the BMW 4 Series. 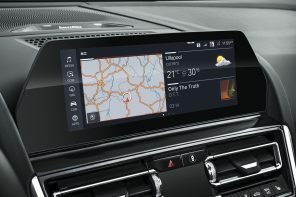 The use of a clear and customisable, tile-style display for the most important menu items makes the system even more intuitive to use. 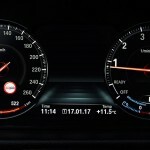 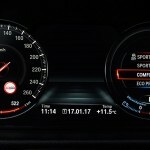 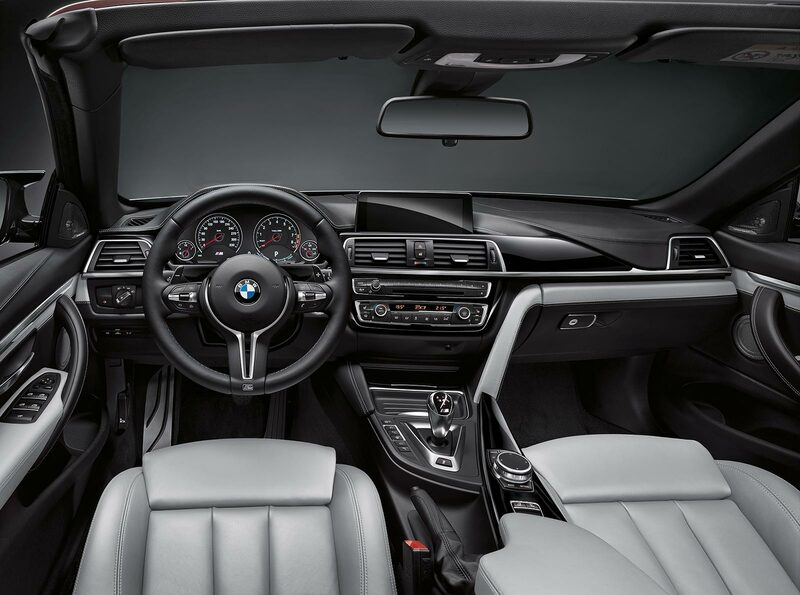 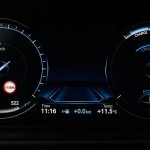 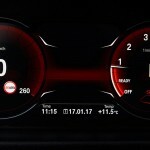 Changing looks: The Multifunctional Instrument Display available as an option for the new BMW 4 Series enables different visualisation options for the various driving modes. 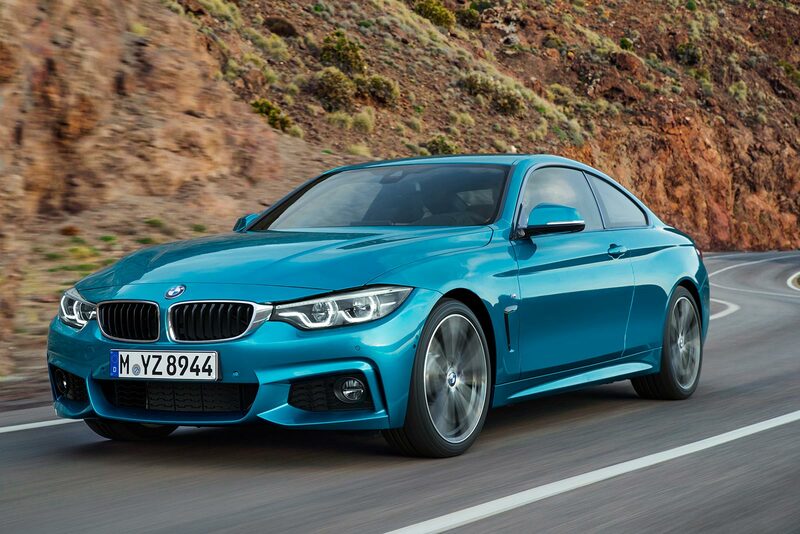 The new BMW 4 Series models will be available from the start of production in March 2017.